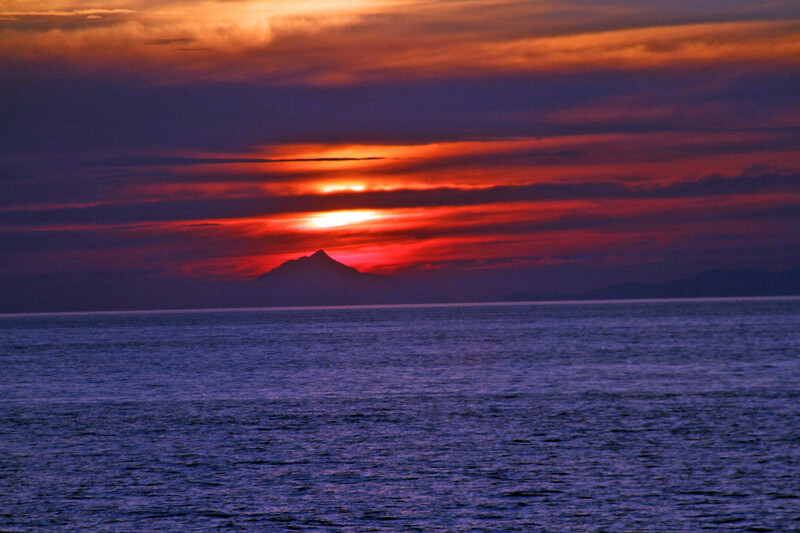 Last stop, Crete and Santorini with sunsets thrown in for free. 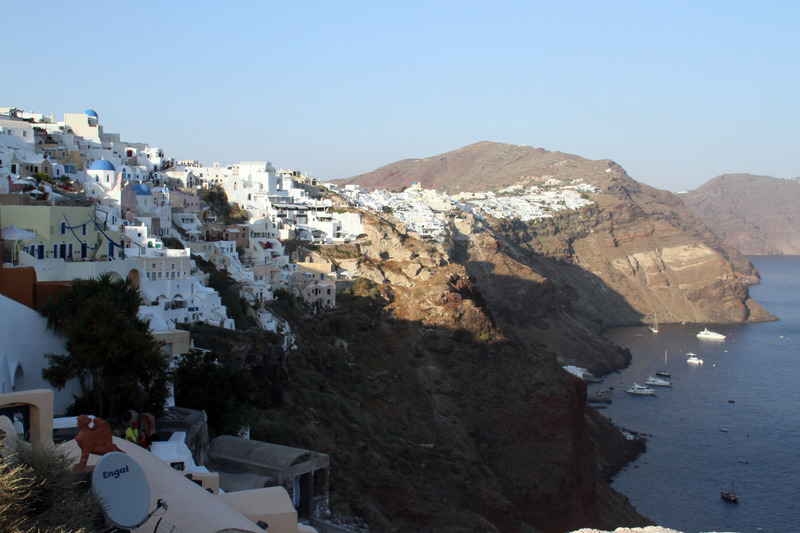 Our Greece and Turkey trip continued with a final day and two ports of call—Crete and Santorini. 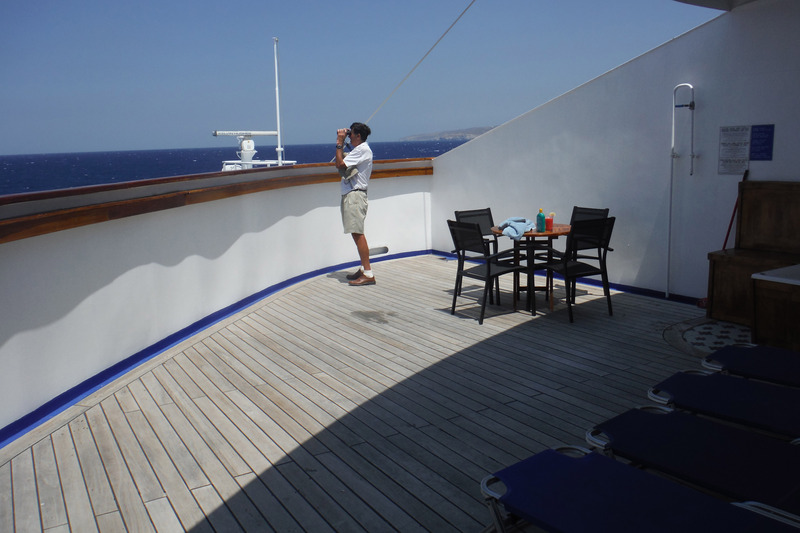 In between we were able to enjoy the wonderful weather aboard ship and some relaxing time at the pool. Our morning stop was Crete. 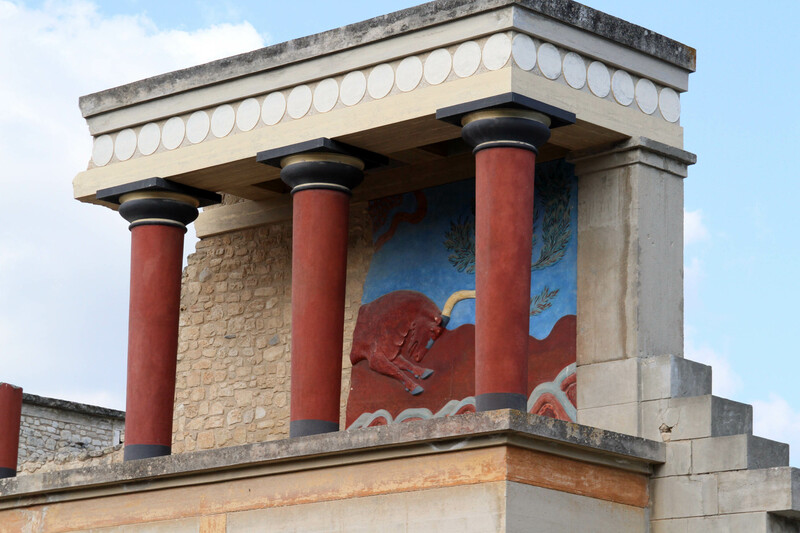 My dad and I took an excursion to Knossos, Europe’s oldest city where we toured an ancient excavated town. 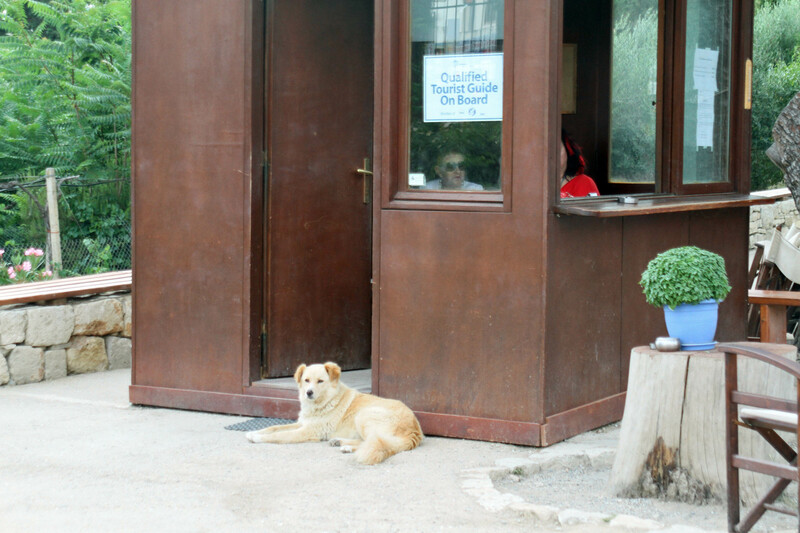 At the entrance was of course a dog guarding the ticket booth. The sign above him said tour guides were available—not sure he was suitable for that. 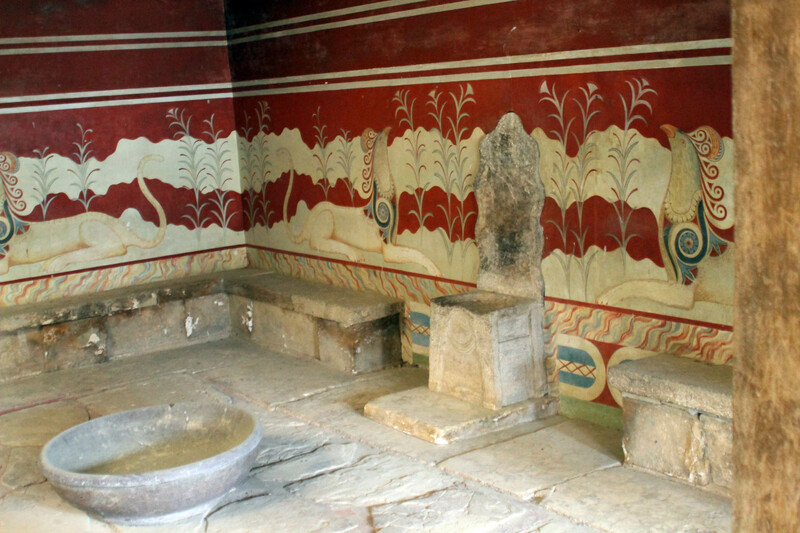 This area was believed to be the center of Minoan civilization. 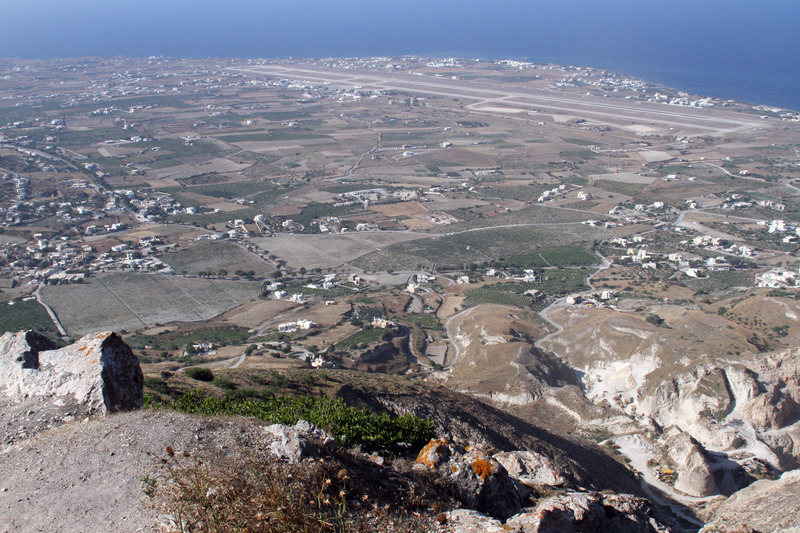 The legend of the Minotaur and the labyrinth came from this town—as it contained the palace for the King of Minos. Later it was home to both Romans and Greeks and had been settled and abandoned for several thousands of years. 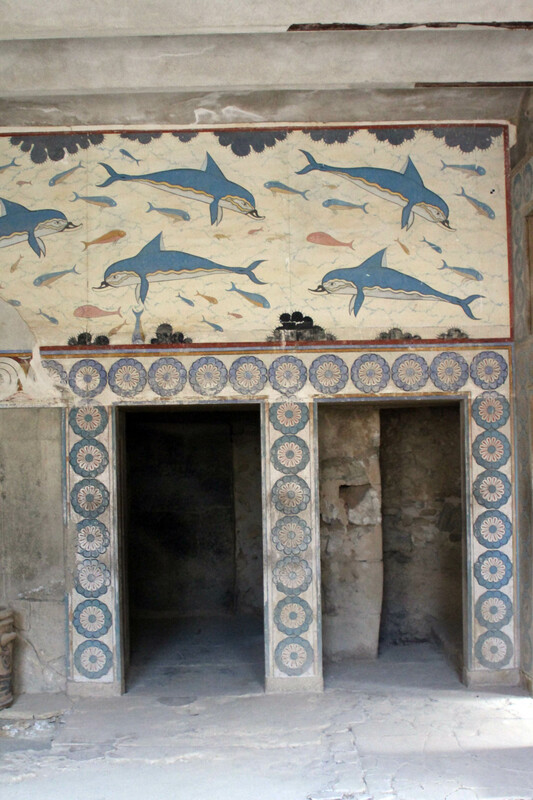 Today it’s a tourist spot where you can see wonderful ancient pictorials on the walls, large carved jars that held tons of grain, wine, and such for the inhabitants, and rooms with royal thrones. One of the interesting things we saw in the ruins were marks in some of stones—a depiction of a double bladed axe or Labrys, a symbol of the ancient Greeks. Yes, that’s a connection to the labyrinth legend. There was also a large stone sculpture called the horns of consecration—basically a symbol of bull horns. Something to do with their cult religion at the time. After touring the site and seeing the beautiful frescoes, smart drainage system, pottery, and more, we ended at what was their small theater area. 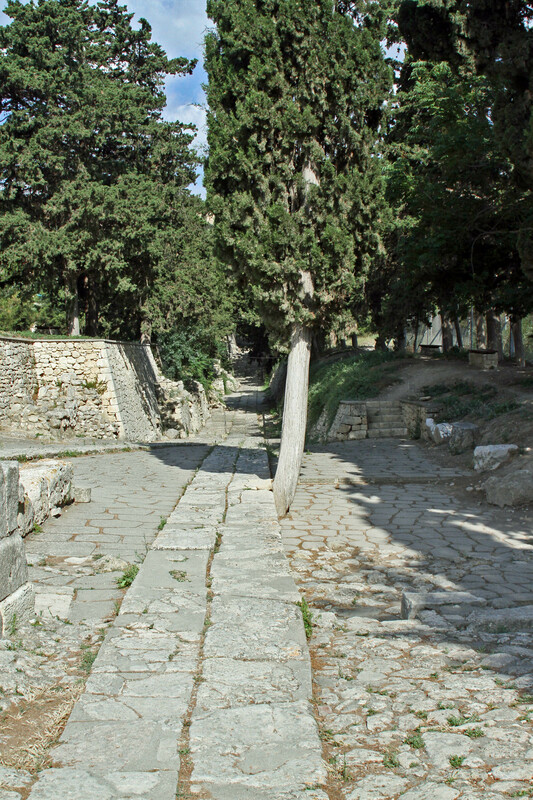 From there the Royal Road, claimed to be the oldest road in Europe, leads away from the site. 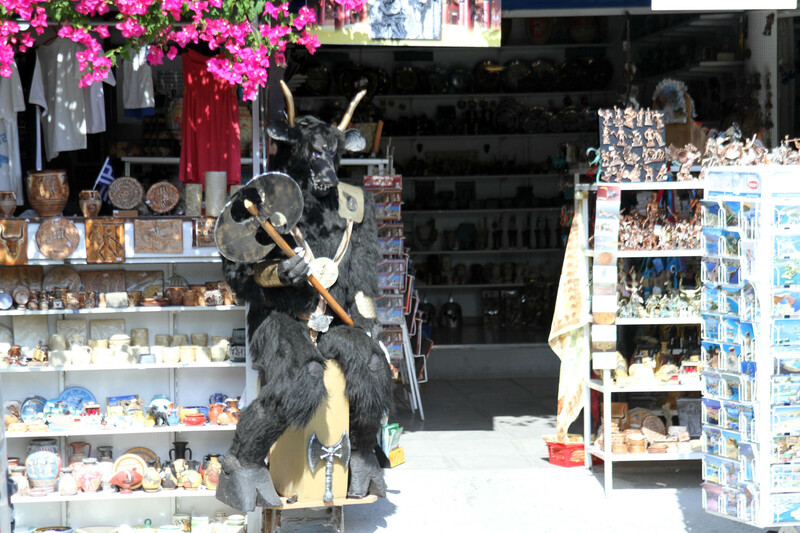 Our tour ended appropriately with a look through the gift shops where we could get the obligatory Minotaur key chain. 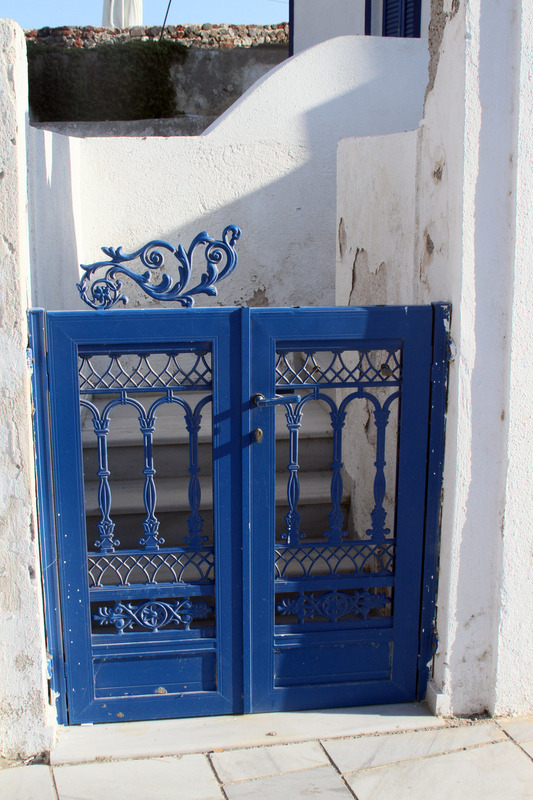 On our way back we went through a town where it seems we stumbled onto a little china town, Crete style. In a short space of about ½ a mile we saw no less than three Chinese restaurants. Noticeable in such a small town. 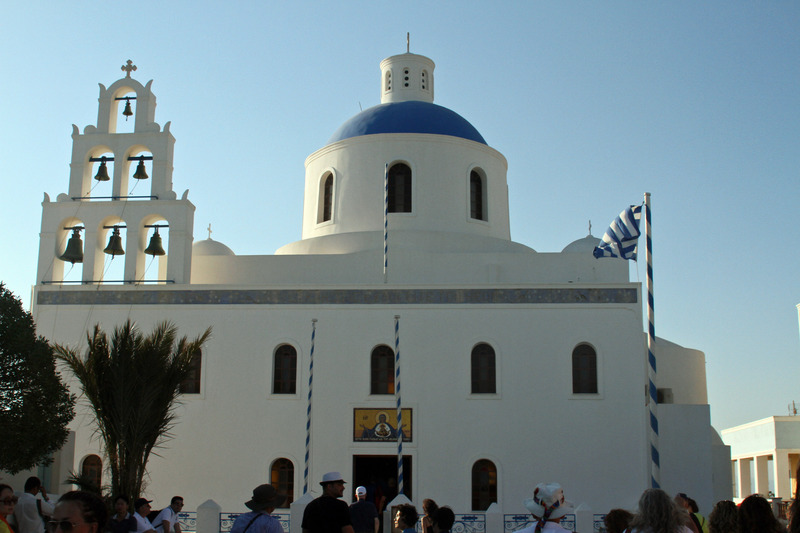 Our final stop was the famous island of Santorini. If you haven’t seen photographs of the white houses topping the cliffs of this large caldera, then you’ve been living in a cave. 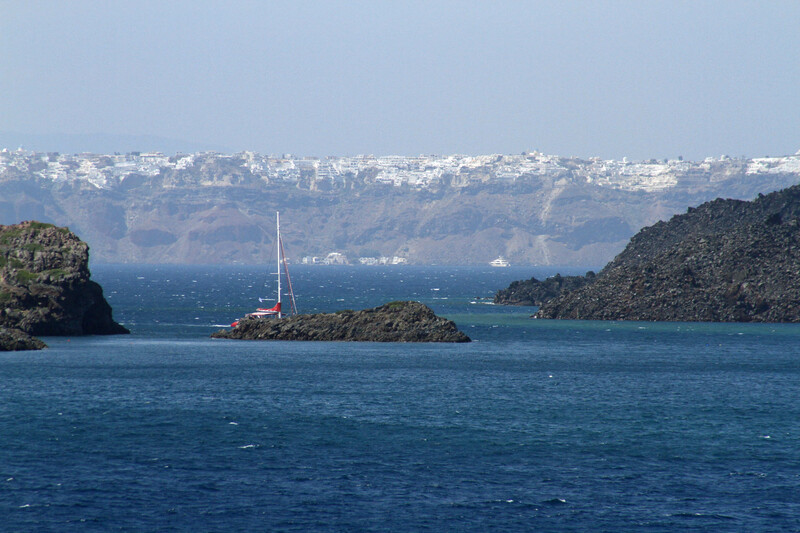 As we got closer to the island, we could see the entire caldera. You see, the island is actually the partial remnants of a volcano and the non-submerged parts make up a very large caldera. 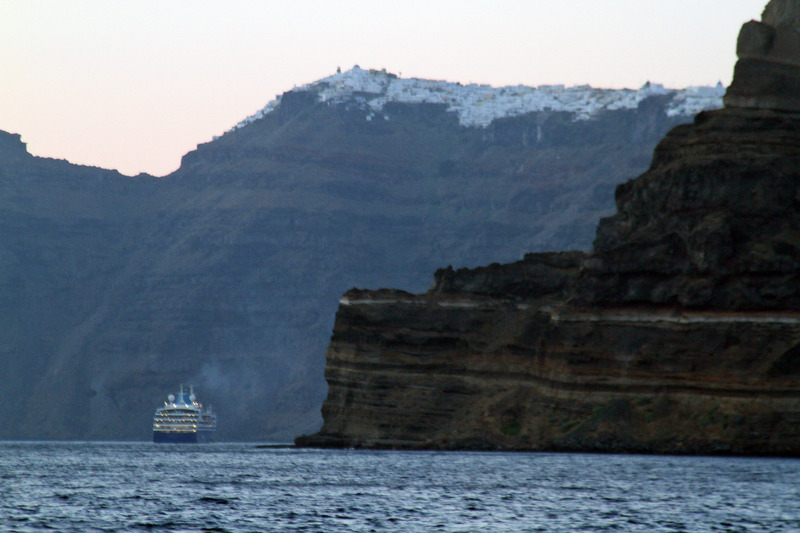 The ship anchored in the middle of the caldera near the main island of Santorini (Thera). A short ferry ride brought us to a dock where busses then transported us up, around, up, around, and up some more to the top of the cliff where we began our tour. Along the way around the island we went up to the highest point to get a view of the flat lands below. It was pretty large and there were lots of farms and white buildings everywhere. 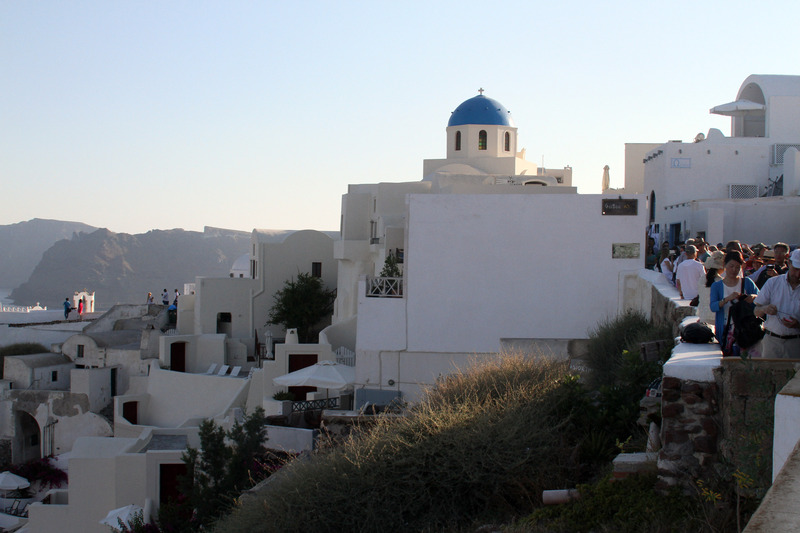 We finally made it to the town Oia where we walked up and down the narrow streets and stairs to see the buildings and views. 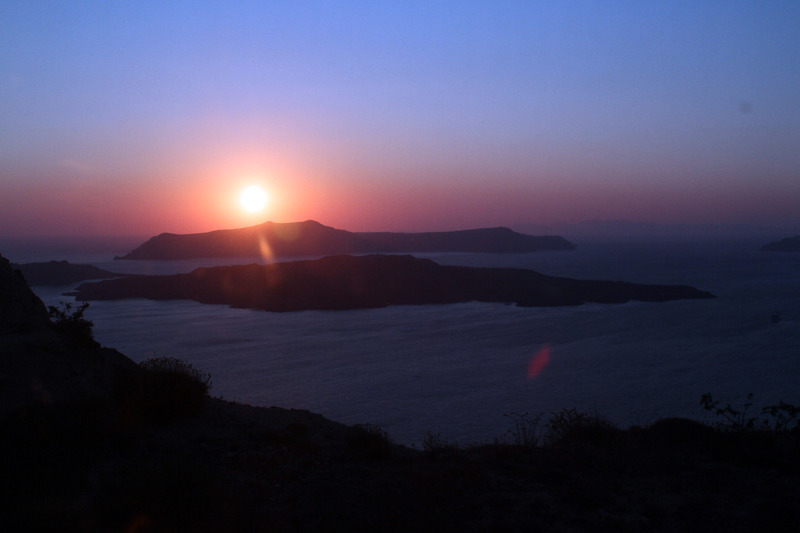 A tiring day was brought to a close with a gorgeous sun setting over the other islands in the caldera just as we were descending the large cliff back to the ferry. 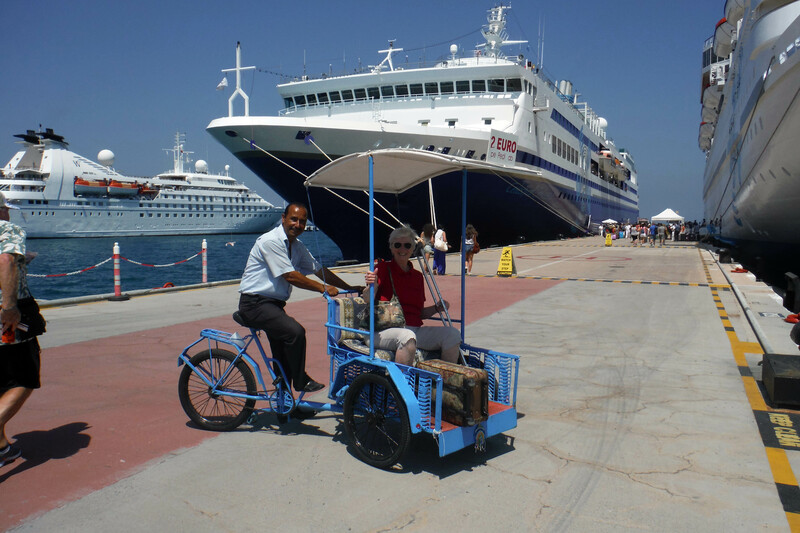 Our last night was spent sailing back to Lavrion and a bus trip up to Athens. 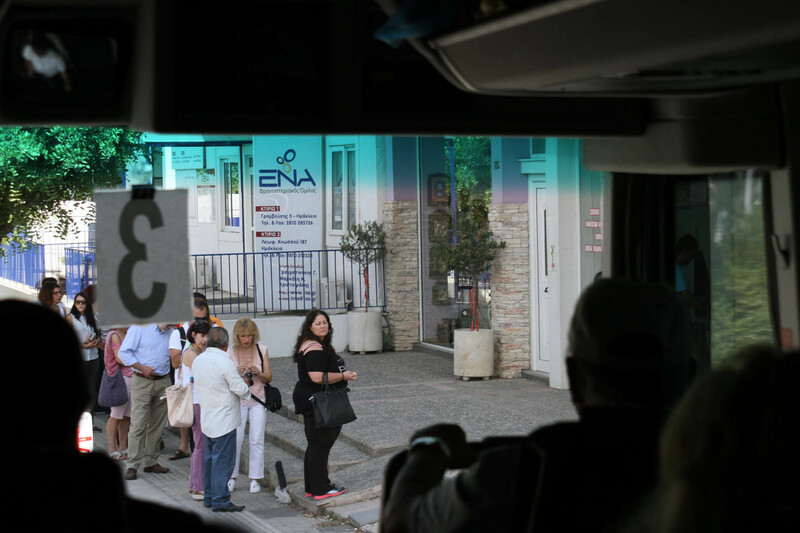 My parents and I (and the tour guide who picked us up) were perplexed at the two women on our bus who somehow thought their luggage was magically going to get from the boat to their hotel in Athens, when in fact it was sitting on the dock back in Lavrion. Oh well. Back to us in the airport—with my mom not able to walk, we asked for a wheelchair both in Athens and in Philly when we arrived. With respect to my mom, what a bonus that turned out to be! We were whisked through security, customs, and immigration—not a bad way to end the adventure this vacation turned out to be. 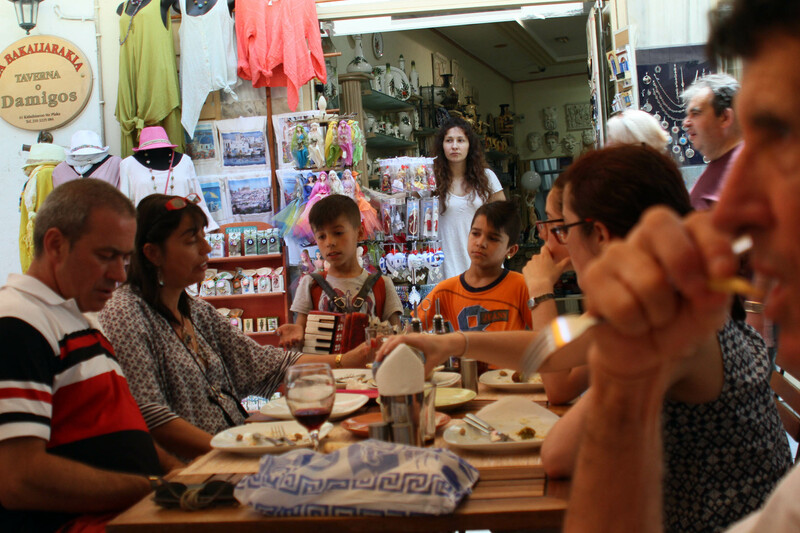 The Greek and Turkey people were very nice to us and even through the headaches of the crash, the trip was fun and we loved experiencing their cultures, food, and ancient history. An interesting financial custom I discovered was that many of the shop owners do not like to take credit cards (plenty did, but a few asked for cash). You see, they have to pay steep interest rates on credit card purchases. Yet another thing that probably hurts them financially. At least they treat the stray pets there with compassion. So nice to see that. And the food was very good and healthy. Overall, a very nice place to visit and I would recommend it to anyone interested in traveling. Since we got a complimentary cruise next year, we look forward to exploring the Adriatic Sea and the cultures and history there. Until then, Τα λέμε αργότερα. 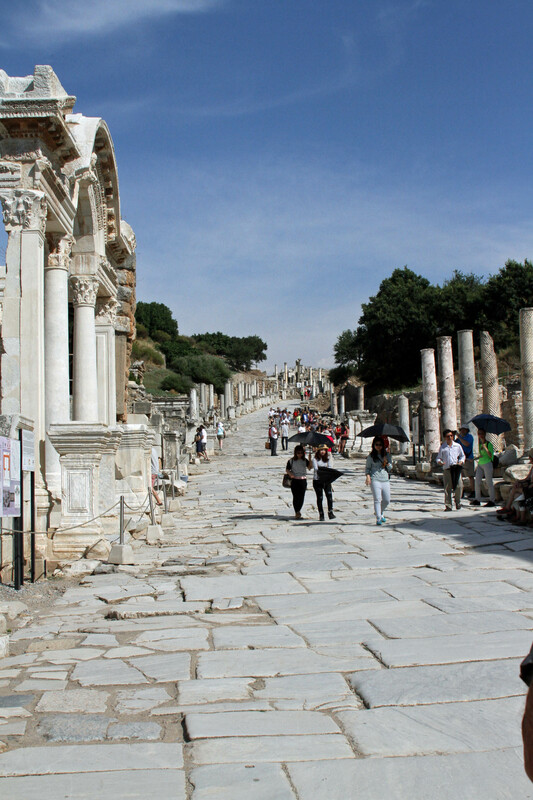 A walk through the ancient past at Ephesus. 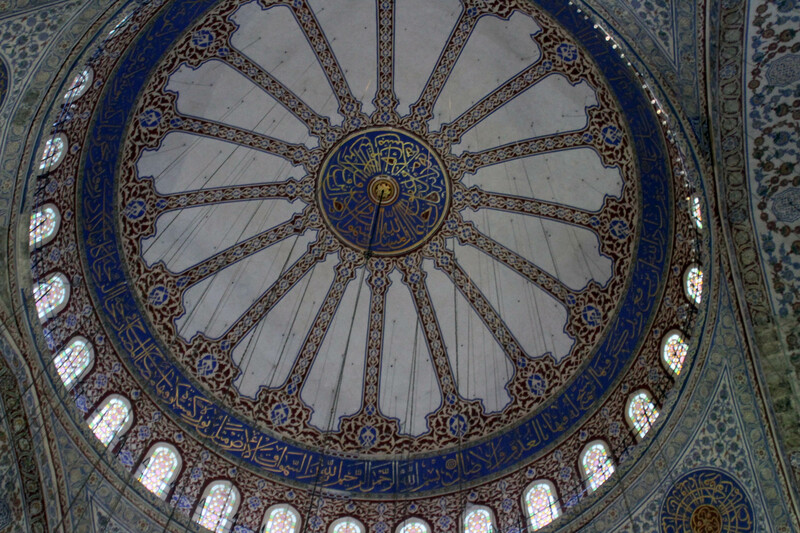 The 2015 summer trip continues through Turkey with an early morning flight. 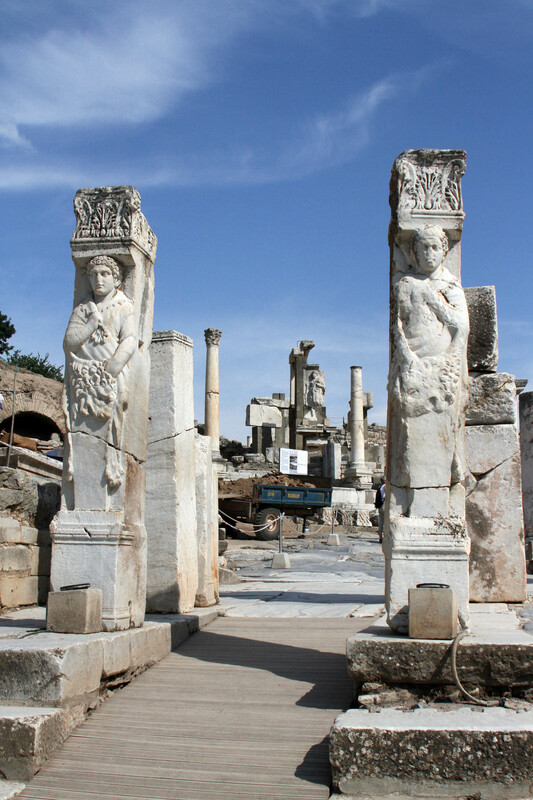 As part of the revised itinerary after the collision (see first trip post), those of us left were shuttled to the airport and taken on a special chartered flight from Istanbul to Izmir where we boarded a bus to the seaport town of Kusadasi. 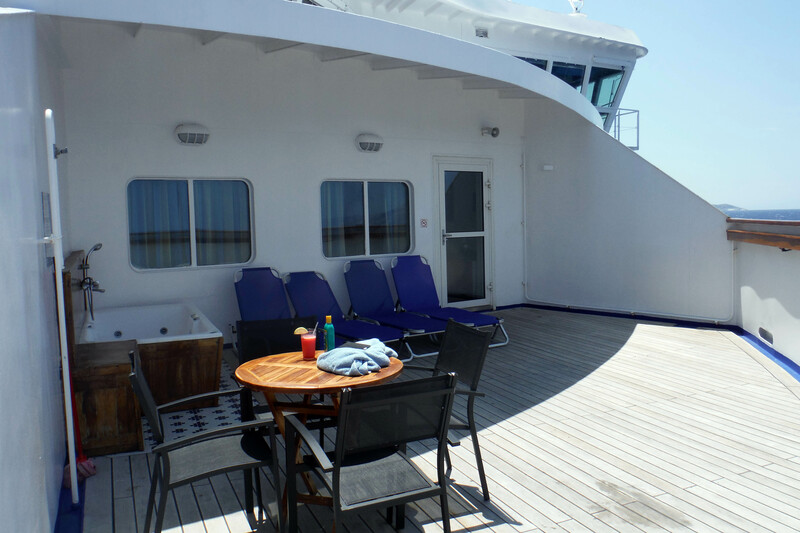 After checking in to a beautiful hotel overlooking the Aegean Sea, we had a few hours to relax on the sun deck and swim in the sea before heading out on our daily excursion. 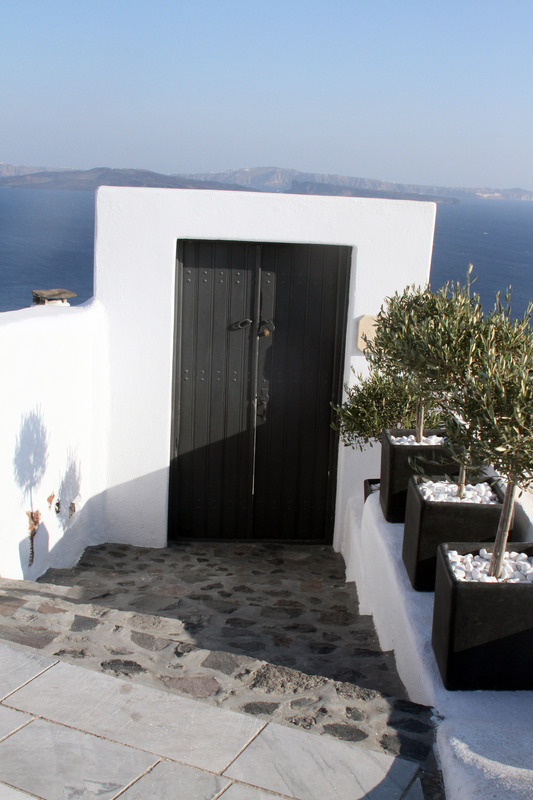 The view of the Aegean Sea from my room. I was very excited to see this ancient town. It was a crossroads in the ancient world where up to 56,000 people lived during the Roman period. The book of Ephesians, a letter the apostle Paul wrote to the people living in Ephesus, is filled with wisdom including the scripture that inspired my family’s charity, the Masterpiece Fund. 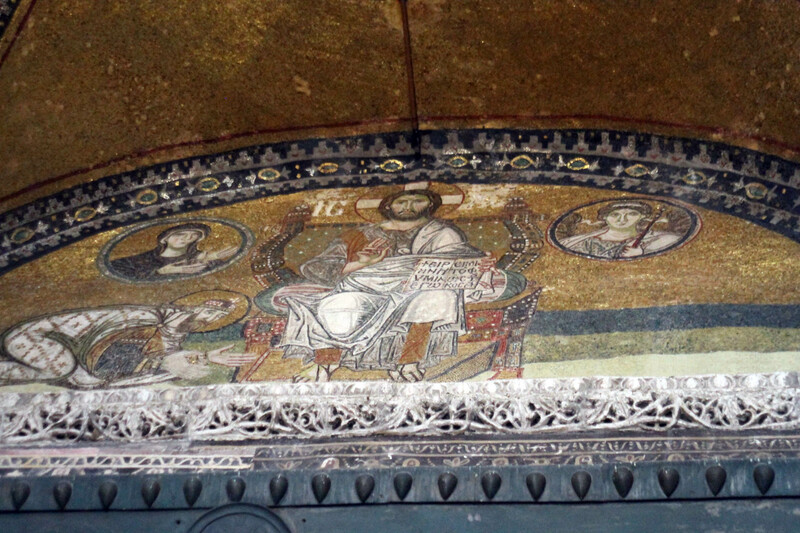 Ephesians 2:10 says, “For we are God’s masterpiece, created in Christ Jesus to do good works, which God prepared in advance for us to do.” The church in Ephesus is one of the seven churches mentioned in Revelations. 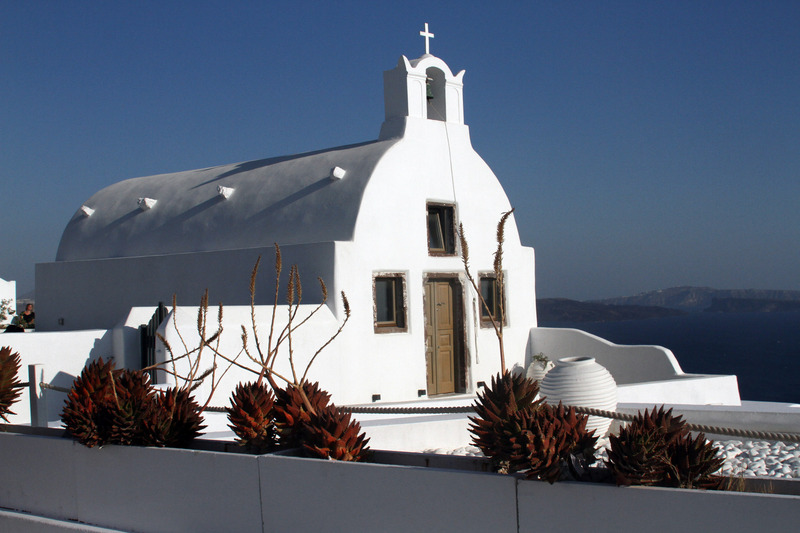 The apostle John took Jesus’ mother Mary to live here as well. Only ruins lie there today but they are vast and only partially uncovered. 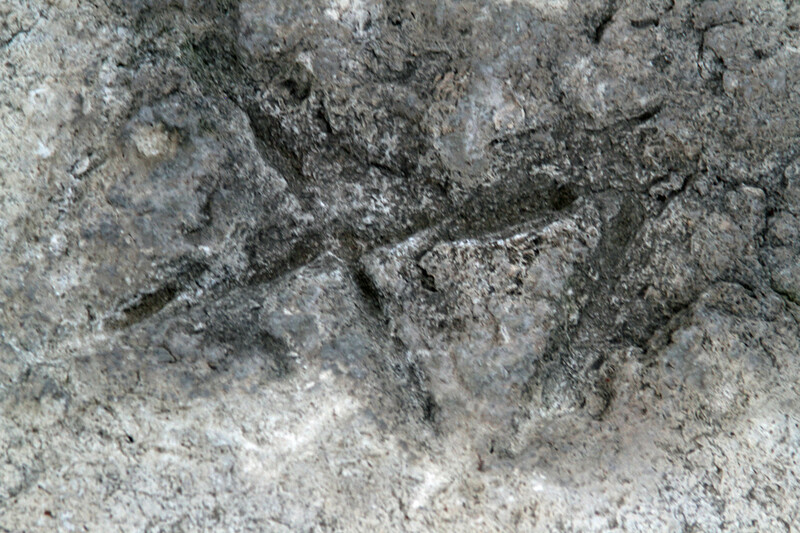 Original Christian carvings in the marble ruins. 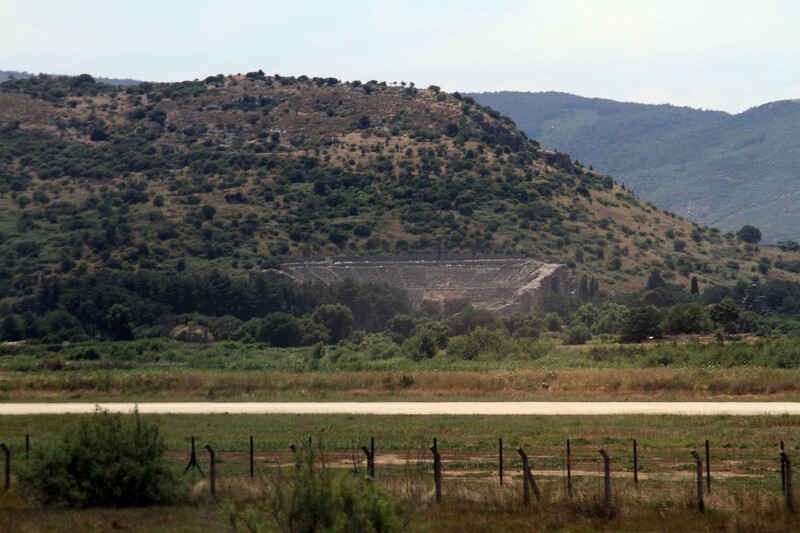 We could see the massive stadium from the road that was inland from the sea. We were told that in ancient times the fields here were most likely under water and that the city was actually closer to the port. 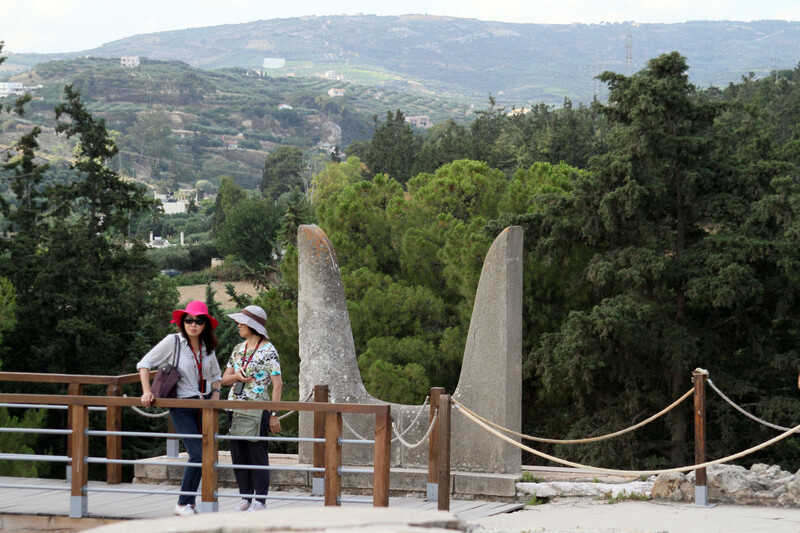 There have been people living there for many millennia and the modern town of Selçuk nearby will no doubt leave its history behind for future generations to study. 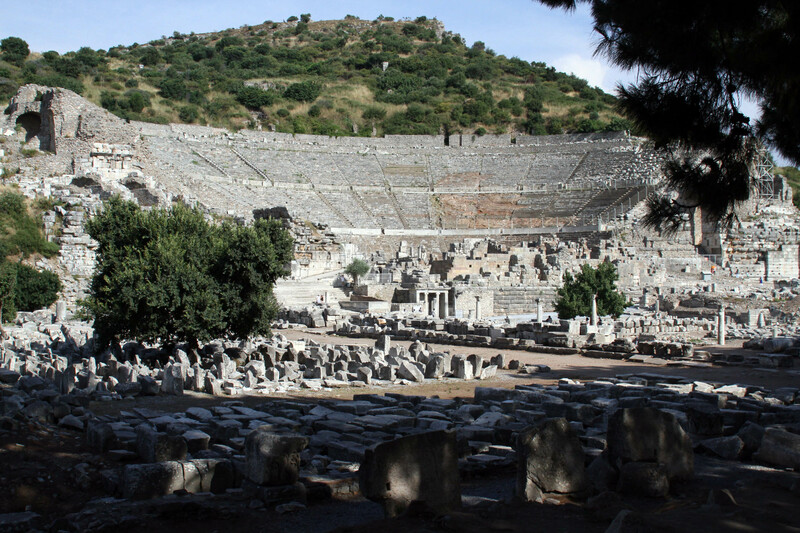 The ancient theater at Ephesus. My dad and I went on an excursion and toured the ruins. We started at the top of the hill between two large slopes where there were ancient baths and open areas filled with rubble. 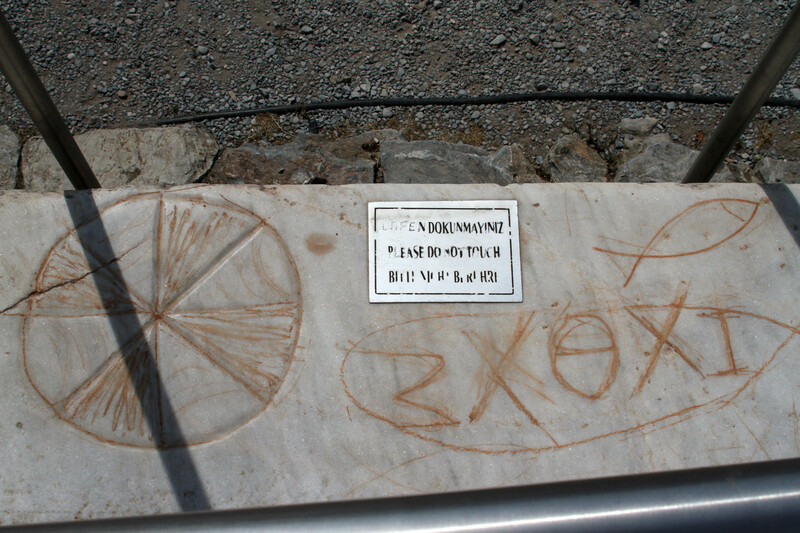 We spotted ancient markings in the marble where Christians would leave “notes” for others and to avoid persecution. 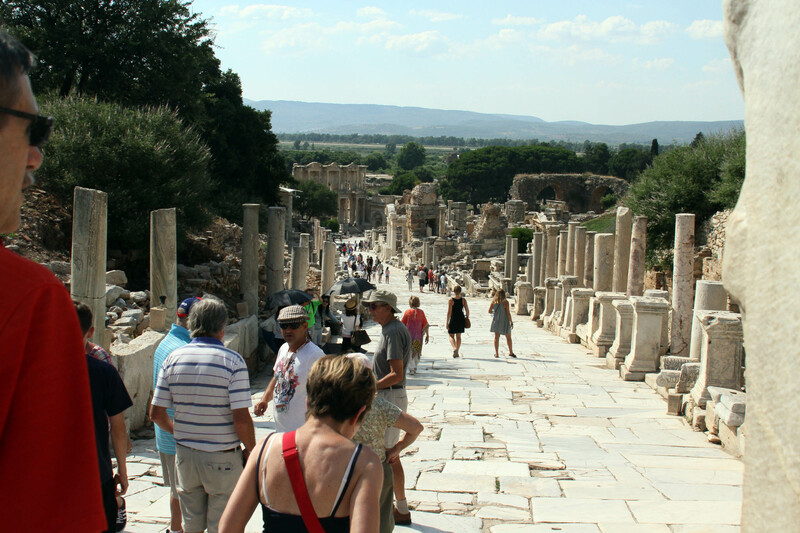 We were led through pillars that created a sort of entryway to a wide and smooth marble road that led down the hill. 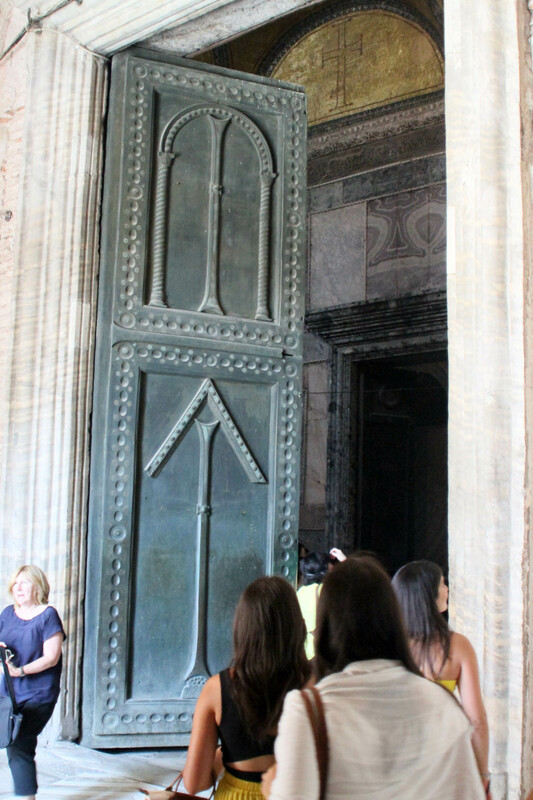 We had to be very careful not to slide on the stones that had been worn so smooth by millions of visitors. This was the point where the chariots could go no further into the town. 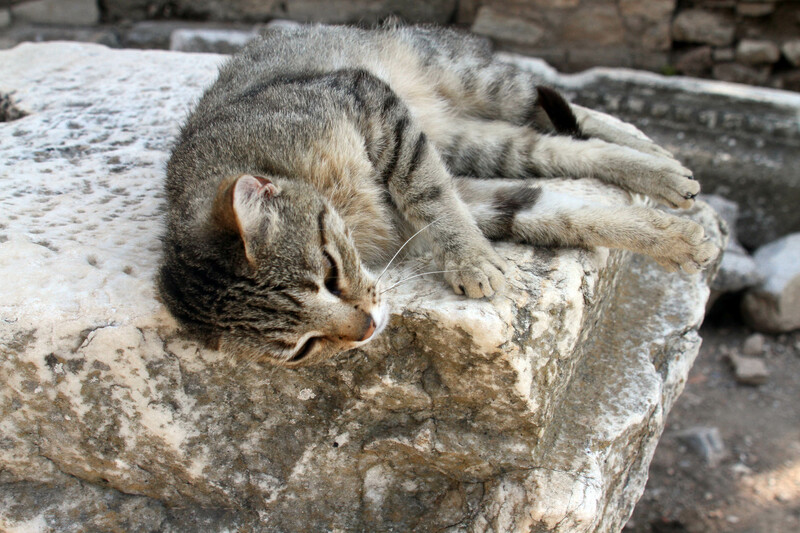 As we walked along the road hearing about the various monuments to the ancient gods, I spotted little kitties (yes more cats and each one was sweeter than the last). 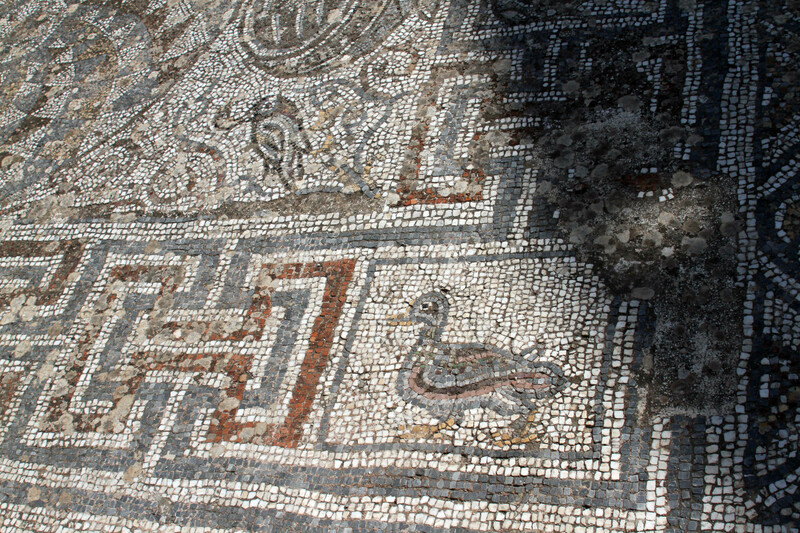 Along the outside of the main pathway there were extensive and gorgeous mosaics covering the ground. 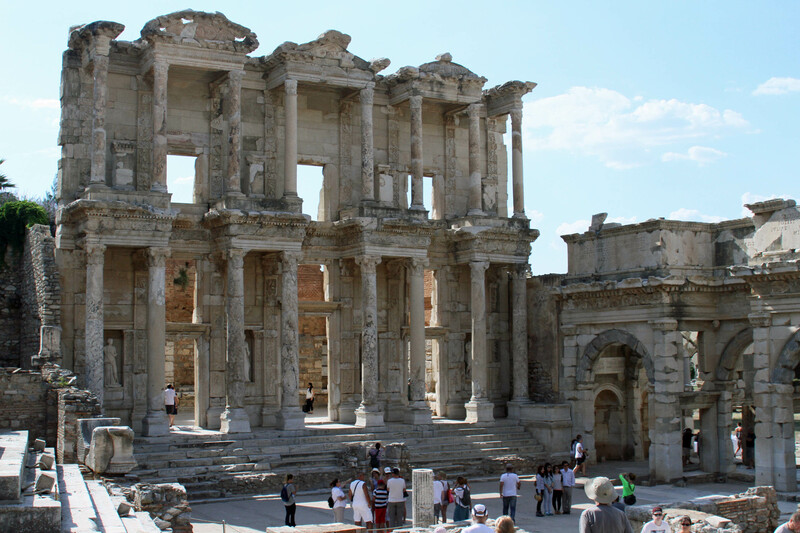 Down at the bottom of the hill was a stunning remnant of the Library of Celsus, with towering columns adorned with beautiful carvings. 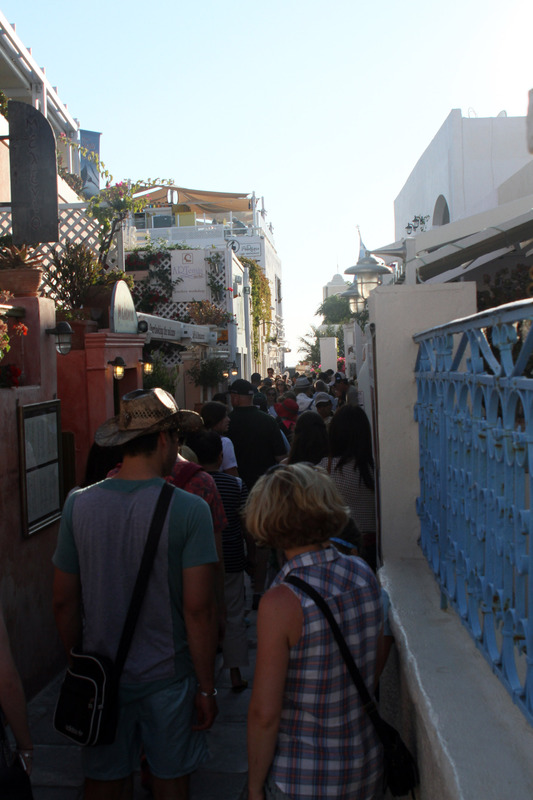 Continuing on, we walked through arches that opened up into a large public area with walkways lined with columns. Farther along we finally came to the theater we saw from the road. It was quite large and held up to 25,000 spectators—for plays as well as gladiatorial events. 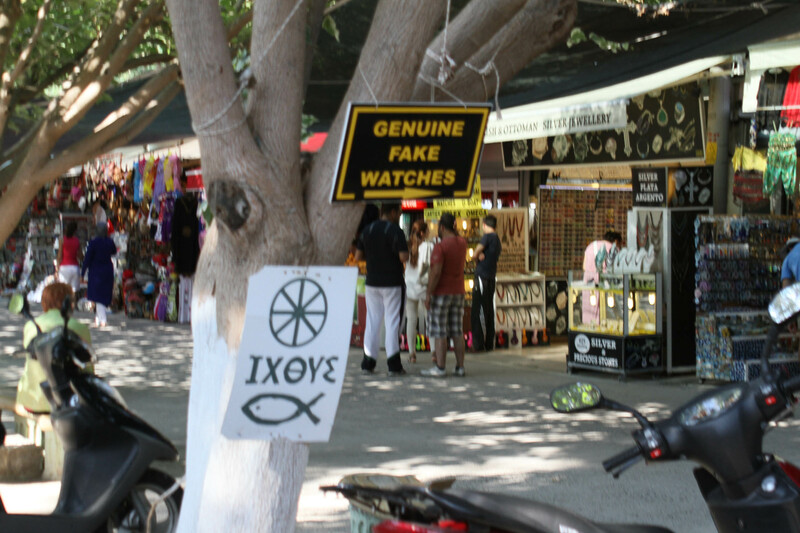 We came out of Ephesus into the tourist area where one entrepreneur was selling fake genuine watches. I bought some Turkish Delights to take home to my colleagues while Dad made a friend with a cute retriever who made a bee line to him—instinctively knowing he would be cuddled and possibly fed. 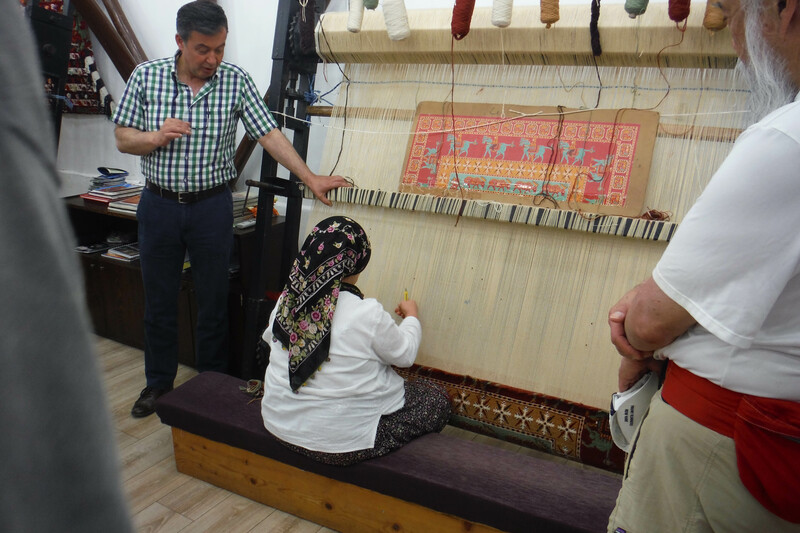 On our way back to the hotel we stopped at the Turkmen carpet store and got a mini tour and demonstration on how the beautiful carpets are made. 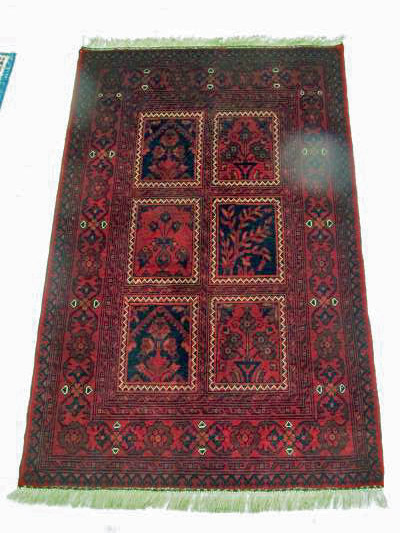 We saw how the silk gets pulled out and and how the women made the double knots that make these carpets so strong. After the demonstrations, we were led into a room and given wine while the guys rolled carpet after carpet on the floor. It was fun to watch and many of them were quite stunning. 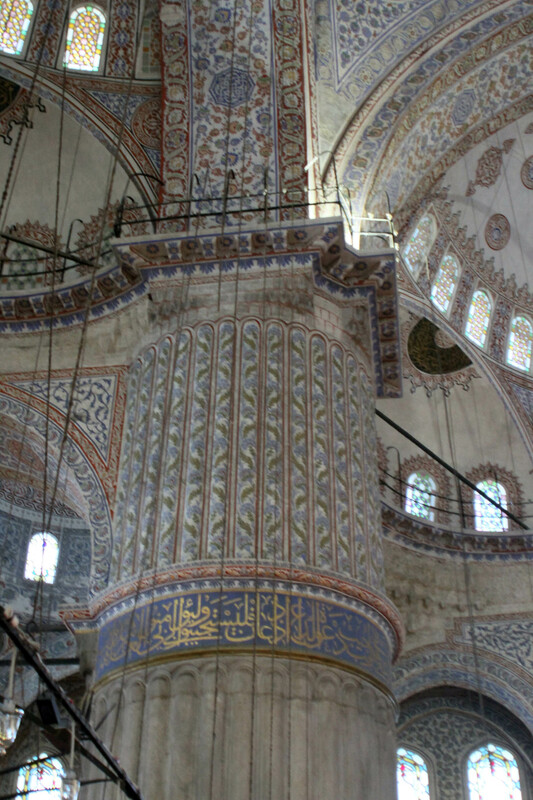 The intricate patterns and wonderful colors made it hard to choose. I would have loved to take home a big one but the price tag was like buying a small car, so I went with a smaller one with deep red colors. With my dad as my wing man we got him down to about half price and I decided since I was getting a refund on the cruise, I could spend some of it on a very unique and locally made product that I will enjoy for as long as my cats allow. I did in fact ask the salesman how it would stand up to cats. He replied nonchalantly, “Everyone has cats. If they pull on it, the knots will get tighter.” I laughed but agreed that the piece was a work of art and decided to hang it up just in case. Now five weeks later, when I was expecting the carpet to be shipped, two guys from Turkey called and told me they were in town and could deliver it in person. They of course tried to sell me more. I declined but appreciate their work ethic. 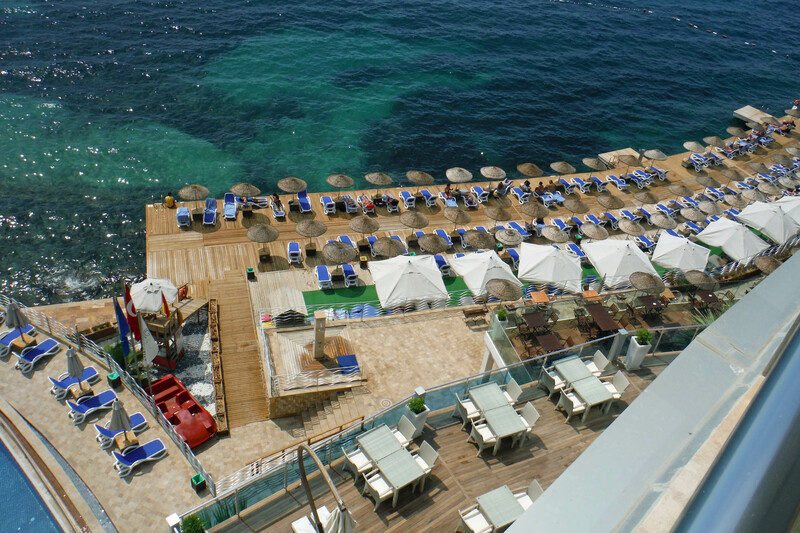 Back at the luxurious hotel we had a wonderful meal and a great night sleep before heading over to the port at Kusadasi and our new ship, the Odyssey. 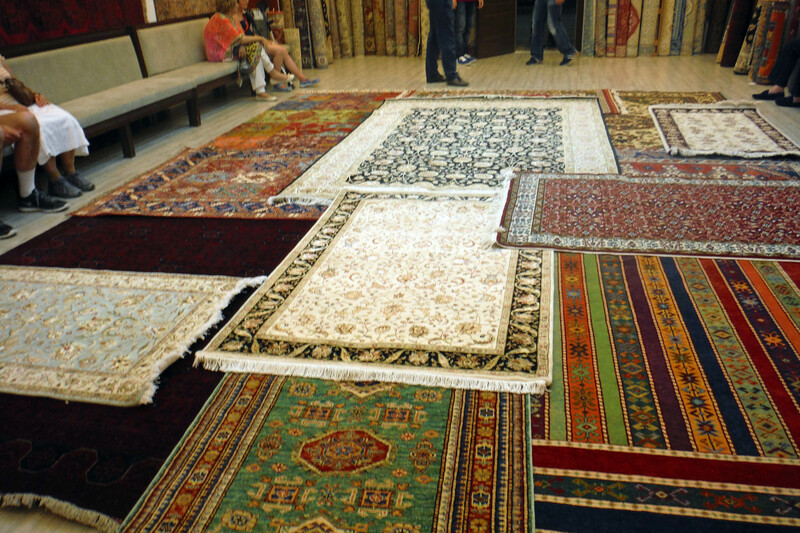 The display of carpets at Turkmens. 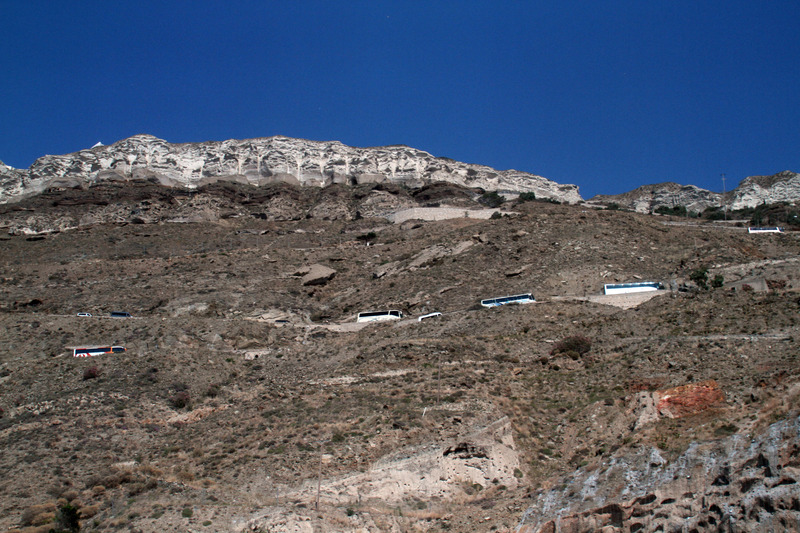 The theater can be seen from the road leaning up against the hill. 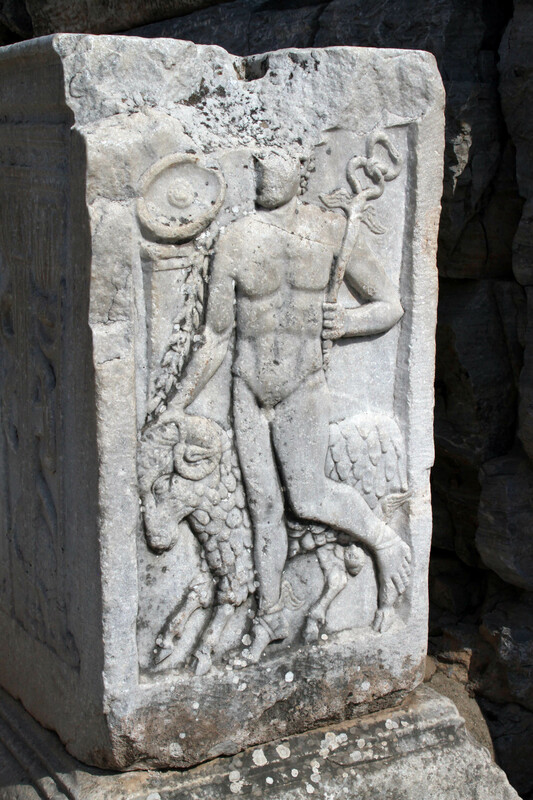 Stones were carved with depictions of gods and other symbols. 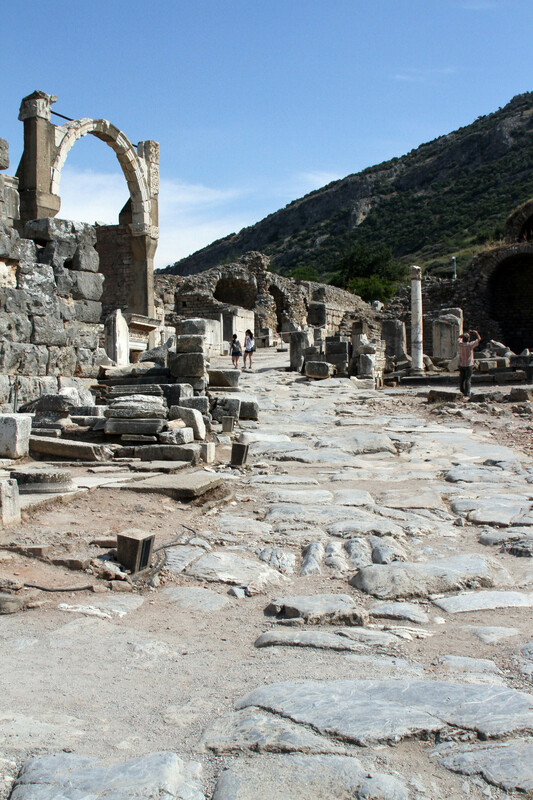 The great stones of the town and ruins of various public buildings. The road was very smooth and slippery–a bit steeper than the picture makes it out to be. The two pillars marking the end of the main road up. So many cute kittens hung out on the ruins loving any attention they received. Gorgeous mosaics dotted the pathway. A view up the hill. 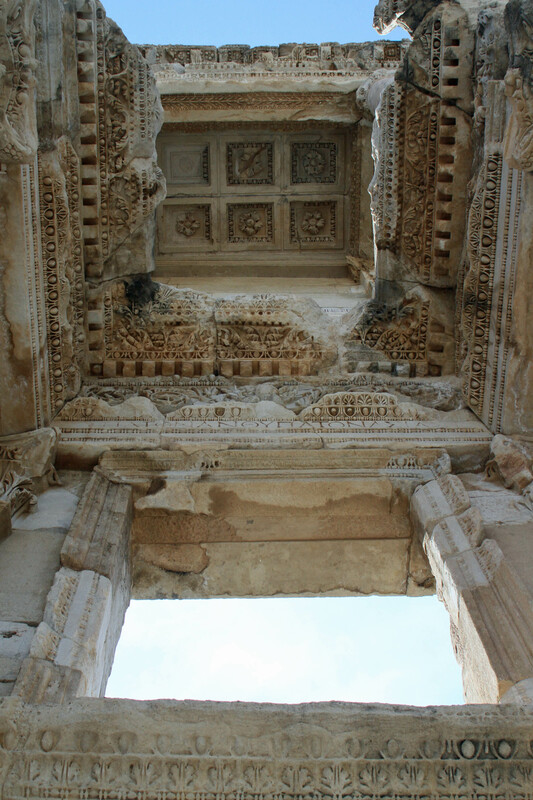 The patterns on the ruins of the Library of Celsus. 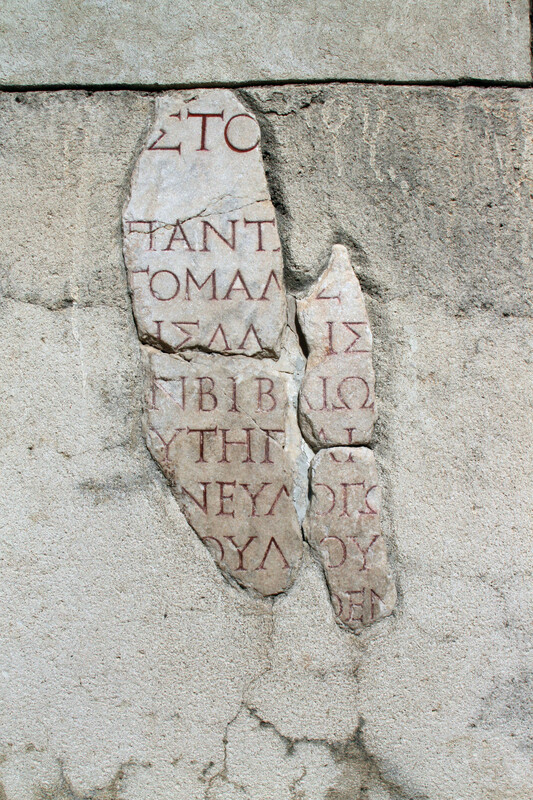 Ancient text on the walls of the ruins. 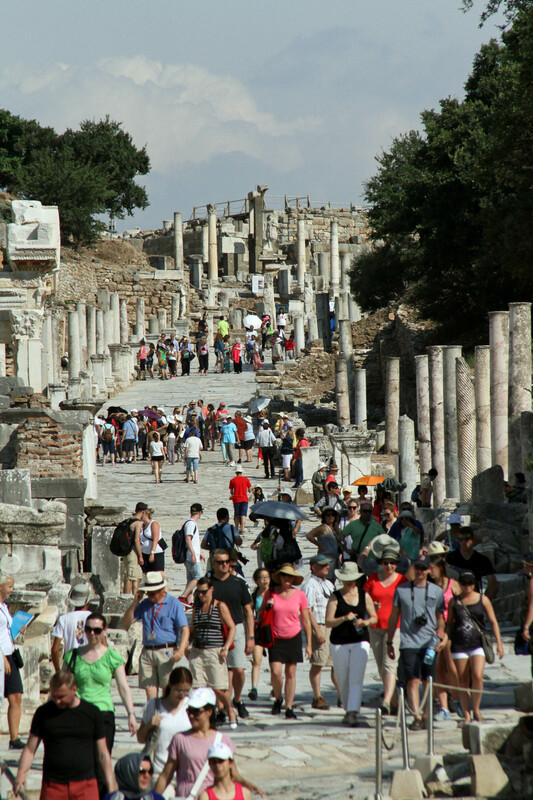 The crowds and tours at Ephesus. 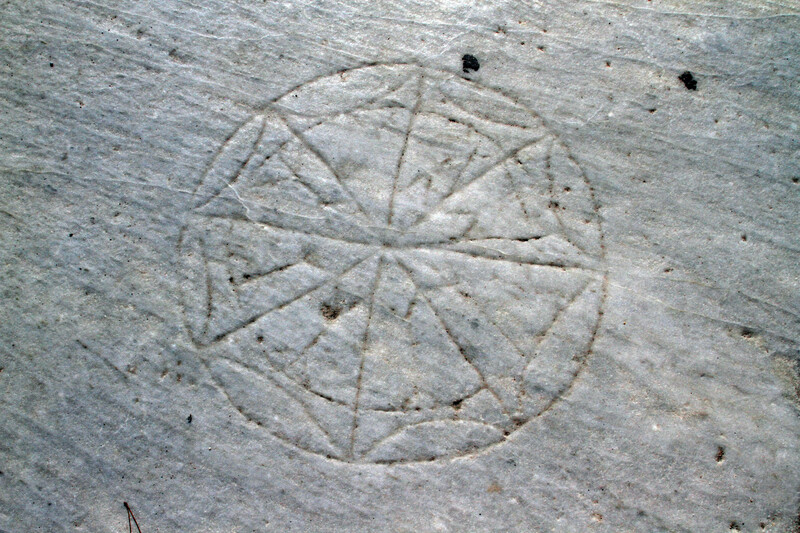 A carving by Christians–possibly telling other Christians where to meet? Genuine fake watches and other tourist stuff. 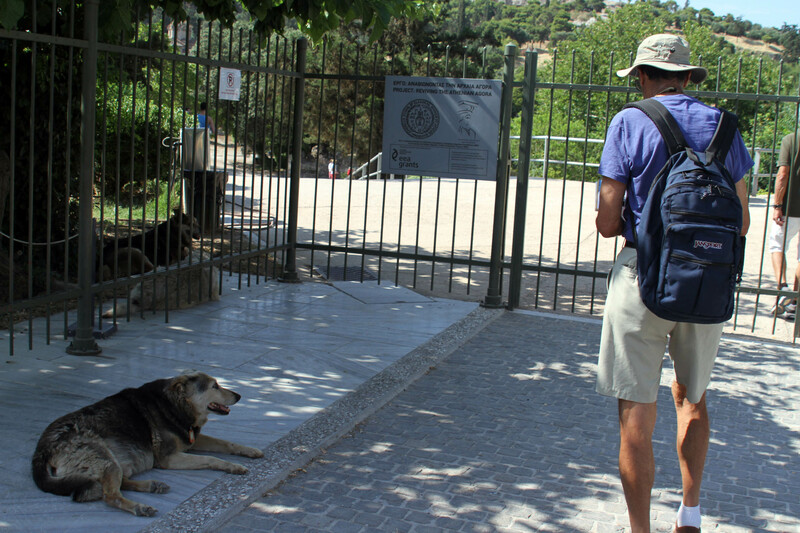 Dad finds a canine friend on our way out of Ephesus. 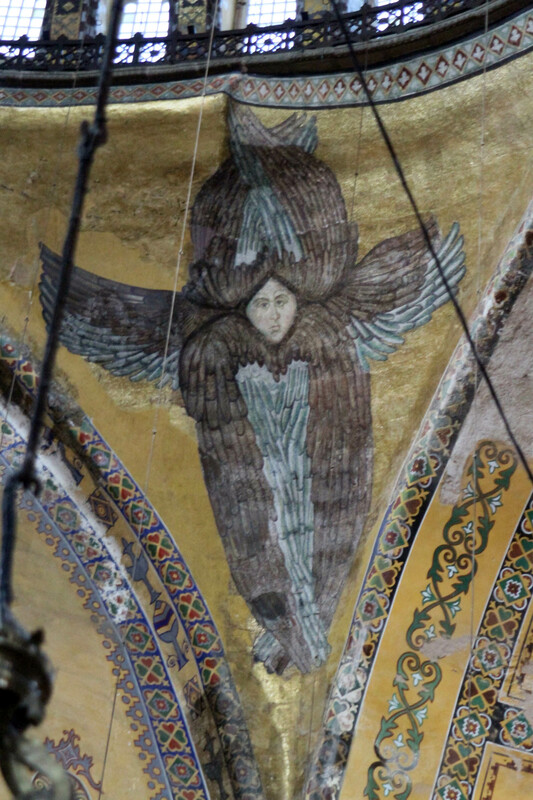 Why did Constantinople get the works? That’s nobody’s business but the Turks. Our adventure in Greece and Turkey continues aboard the Celestyal Crystal, a cruise ship with 800 plus passengers and several hundred crew. As we got on board, while waiting for our room to be cleaned, we had some beverages on the pool deck. I had to stay there for a while because the crew messed up our drink packages and cards. After finally getting them to fix it, I got in to the elevator to go to my cabin. The second indication this ship was not quite up to snuff was when I had to ask a crew member to help me because the elevator wasn’t moving. He got in and physically shut the doors. 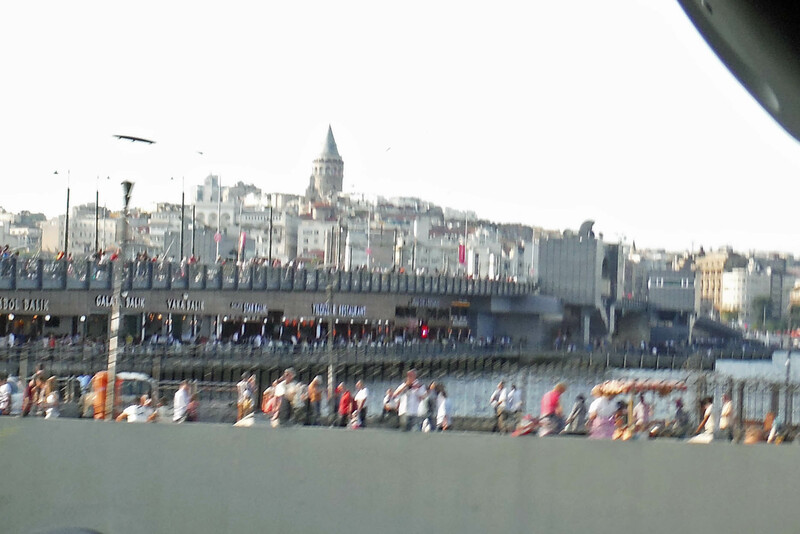 The bridge that crosses the Bosporus and links the European and Asian parts of the city. Later that night it became apparent this cruise was doomed. I explained the collision in the first post of this trip series so I won’t go into it again. 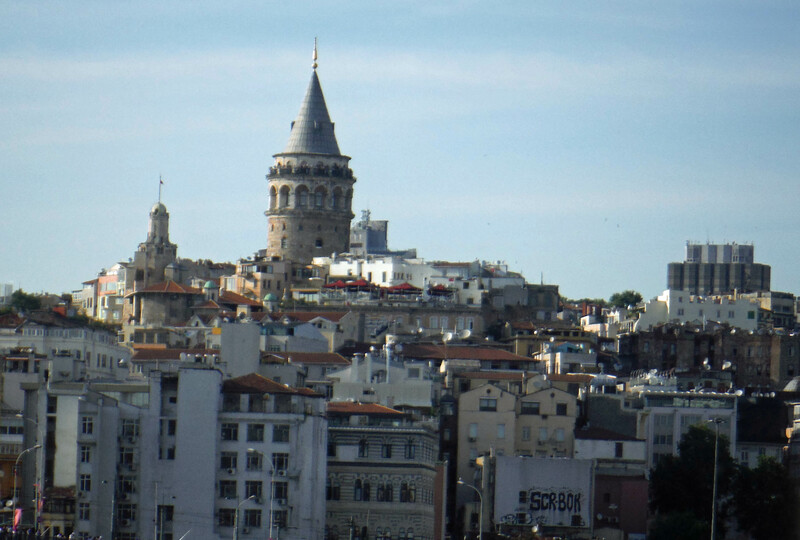 Instead we’ll skip to day six and our day in Istanbul. On our drive in to this European/Asian city, I was impressed by the size of it. The city is home to more than 14 million people and is one of the largest cities in the world. For thousands of years it has played a major role in human history. 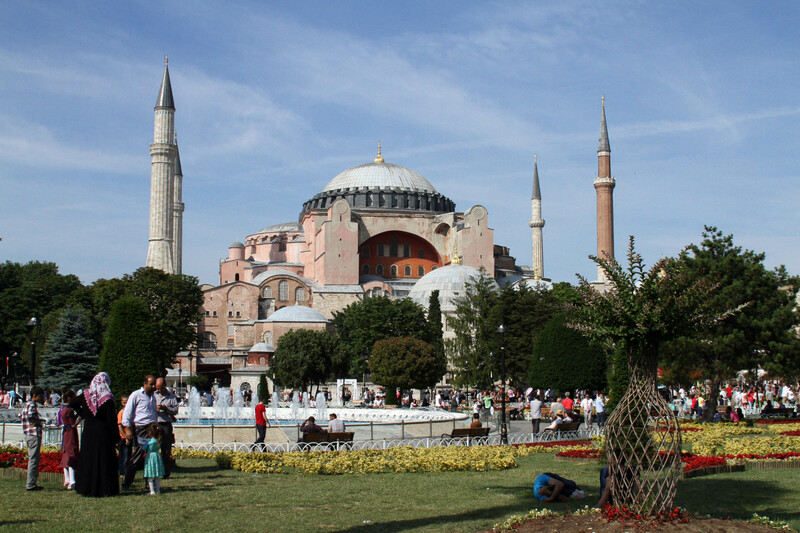 Once called Constantinople, it was a center for Christianity before Muslims took over and Islam became the main religion. After a few hours of sleep at the Hilton, we were back on the bus and on our way to explore two very famous religious sites, a palace, and a spice market. 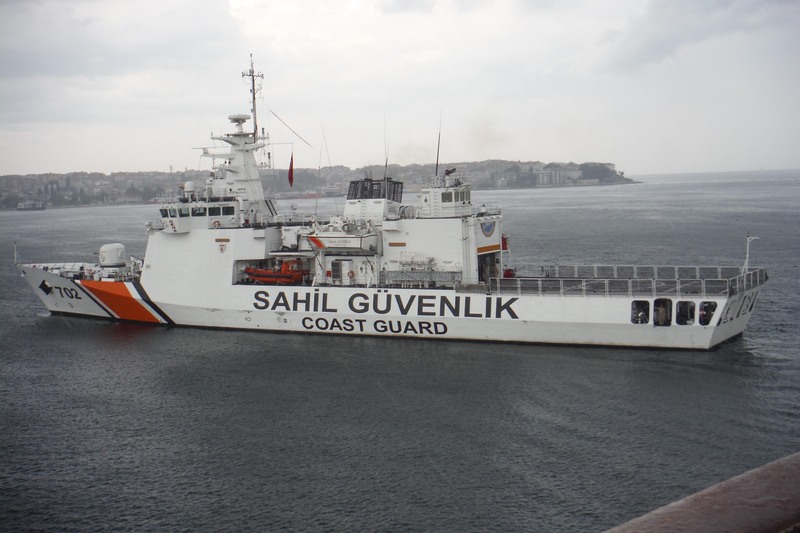 Getting there involved crossing the Bosporus Strait as Istanbul straddles Europe and Asia on both sides of the straight between the Sea of Marmara and the Black Sea. Some actors in the courtyard of the Palace. Our first stop was the beautiful Topkapi Palace, a major residency of the Ottoman sultans for almost 400 years of their 624-year reign (1465–1856). The Palace was a city within a city and access to the inner courtyards was limited. It served as the residency as well as hosting government meetings and functions. We walked around the various buildings that held beautiful ancient artifacts including some very cool sabers, armory, shields, and more. We didn’t have time to see all the buildings and artifacts but I did view a room with paintings of the sultans going back hundreds of years. It was interesting to see how the fashions changed through the years. 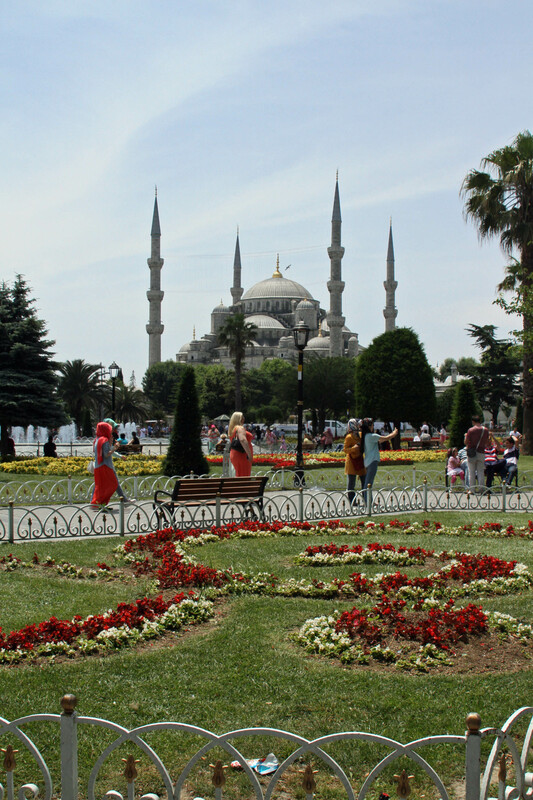 Upon leaving the Blue Mosque, we turned in our scarves and put our shoes back on and then traversed the streets and gardens to make our way over to the very famous and ancient Haggia Sophia. 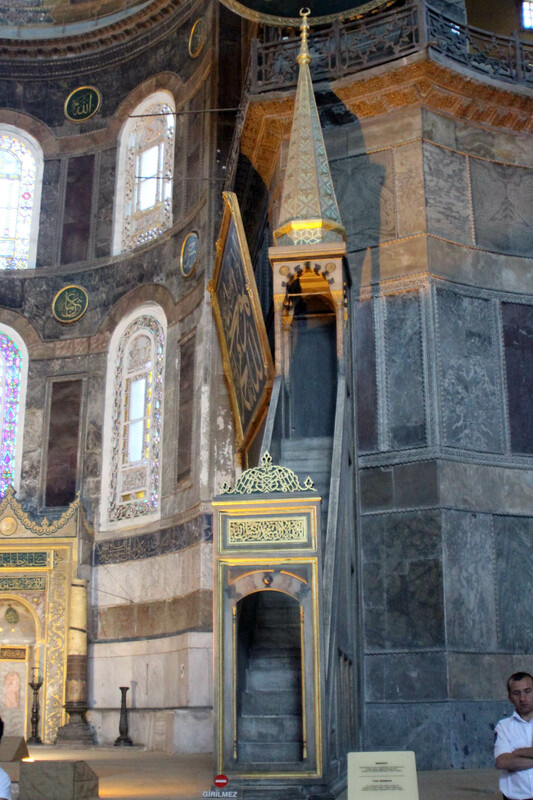 This marvelous and historical structure was built in the 6th century. 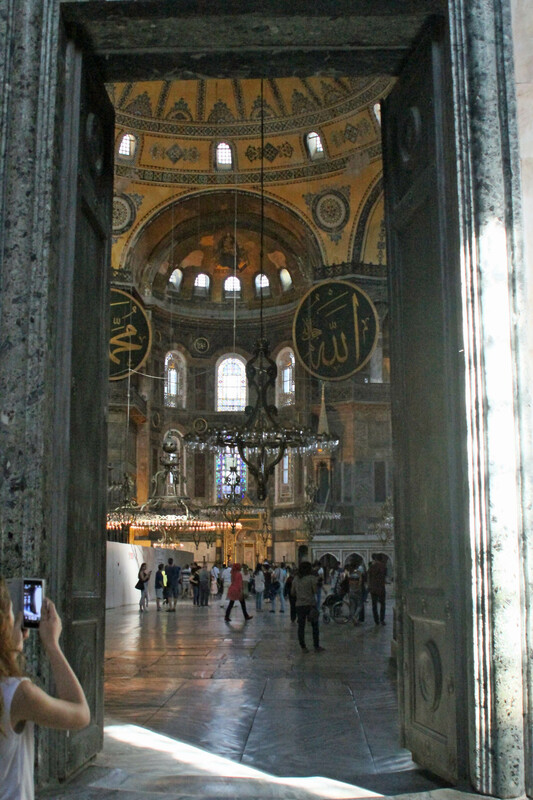 For a millennia it functioned as one of the largest Christian cathedrals in the world. 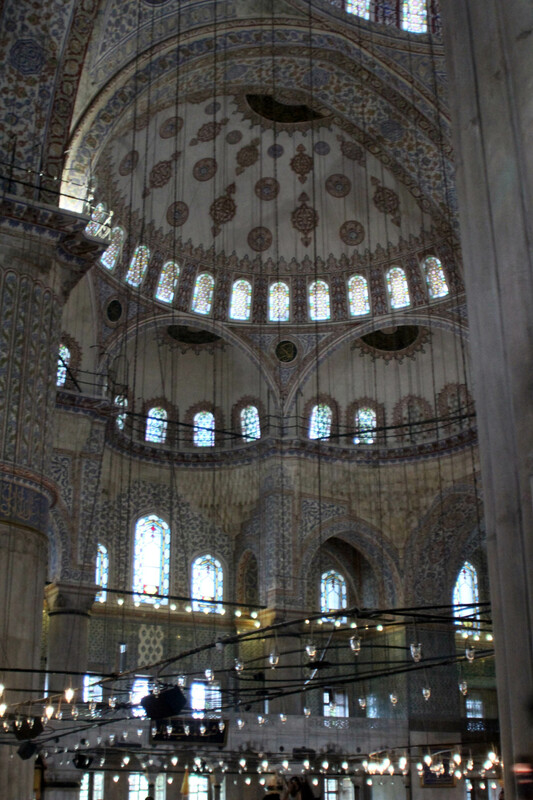 When the Muslims took over the city in the 15th century it was converted to a mosque and the minarets were added. In 1935 it was turned into a museum. 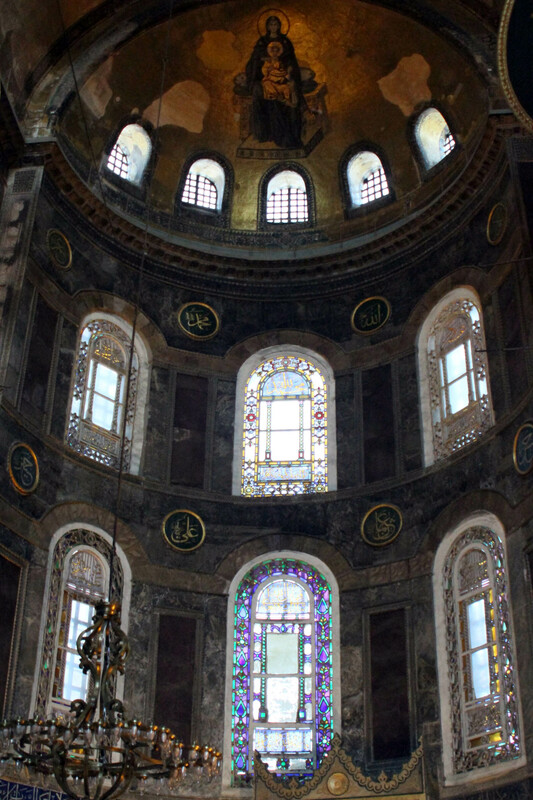 I found it to be not only beautiful but also interesting in that both Christian and Islamic elements were seen throughout the building. 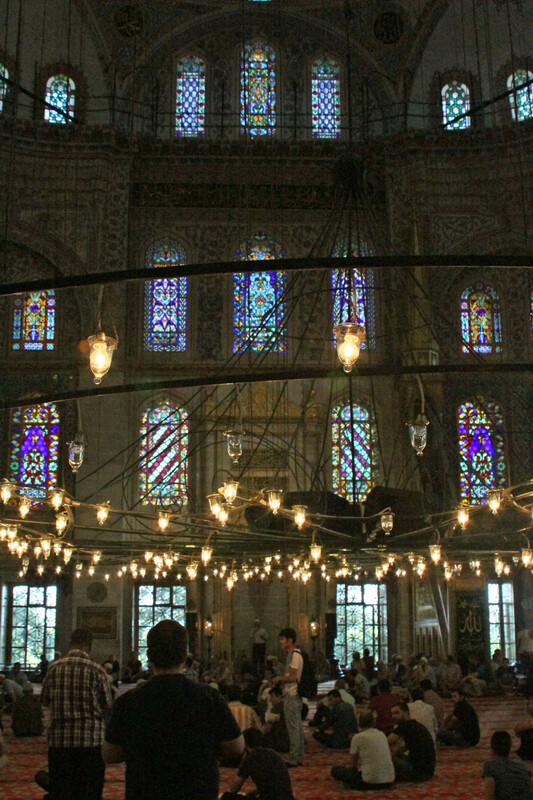 Gorgeous paintings on the ceilings of angels, large chandeliers, marble designs and so on caught our eye. 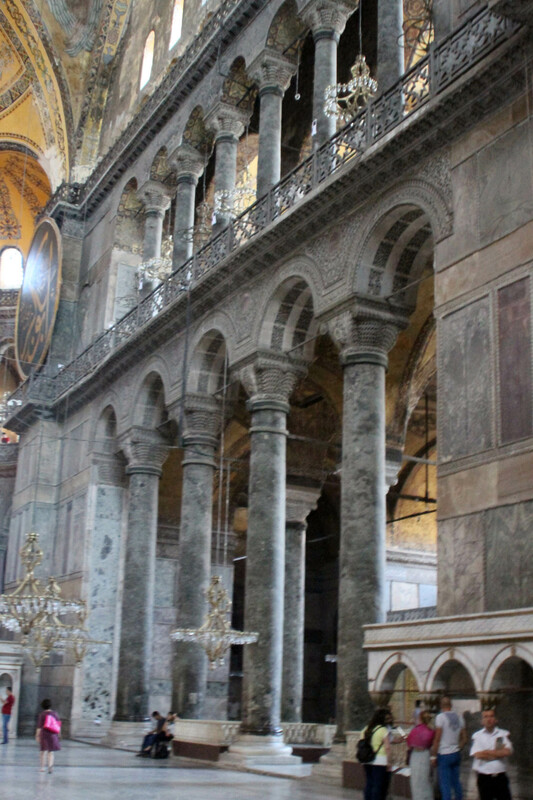 It is an epic example of Byzantine architecture and is decorated throughout with mosaics and marble pillars. 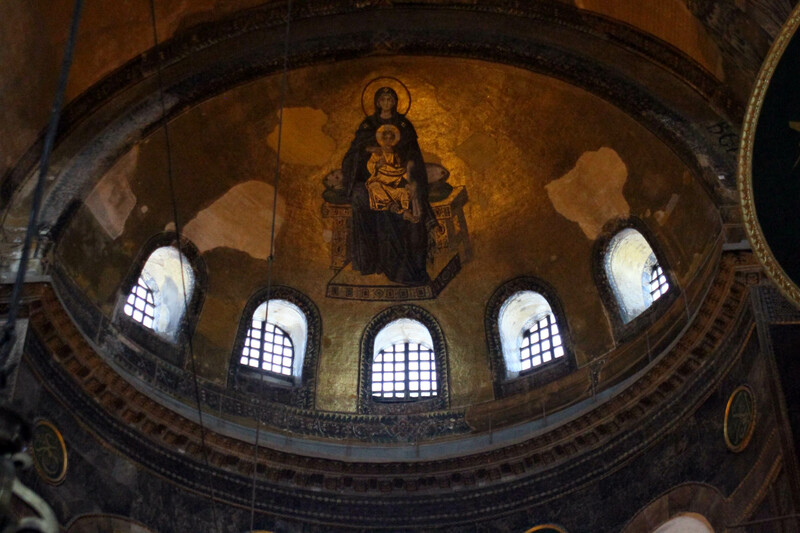 It’s hard to describe the feeling of being in this ancient church but the photos capture some of its glory. There was scaffolding covering parts of the building as its restoration is a continuous process. 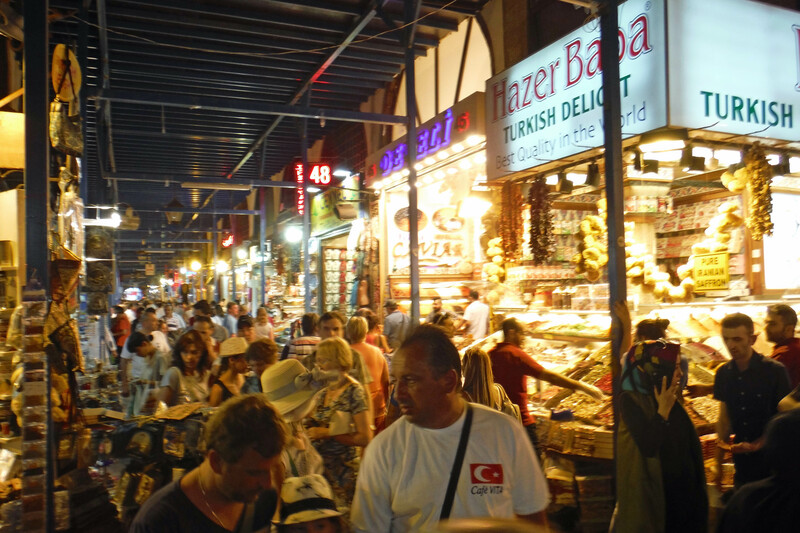 Unfortunately we were limited on time and had to move on to the last stop, which would have been the grand bazaar, but alas, it was Sunday and it was closed so we spent a few minutes in the spice market. 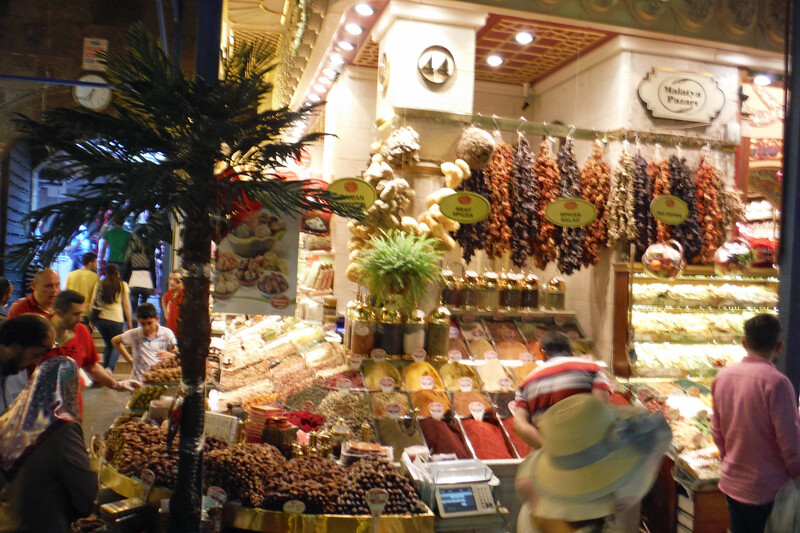 We had a few minutes to walk the street paths of the spice market before it closed. I just loved the colors and smells of the packed stalls. The shopkeepers attempted to entice us to come see their wares—there were many stalls with tourist items other than spices. I found a few presents to bring back home (confession—I fibbed when I told the custom official “no” when asked if I had any spices). At closing time we made our way back to the wonderful hotel and our big comfortable beds and an actual night of sleep. After a glorious night of sleep we enjoyed the tastes of a wonderful buffet breakfast (which I shared with a cute kitty on the outside porch) and then on to the airport for an early ride to our next stop—and my next blog post. 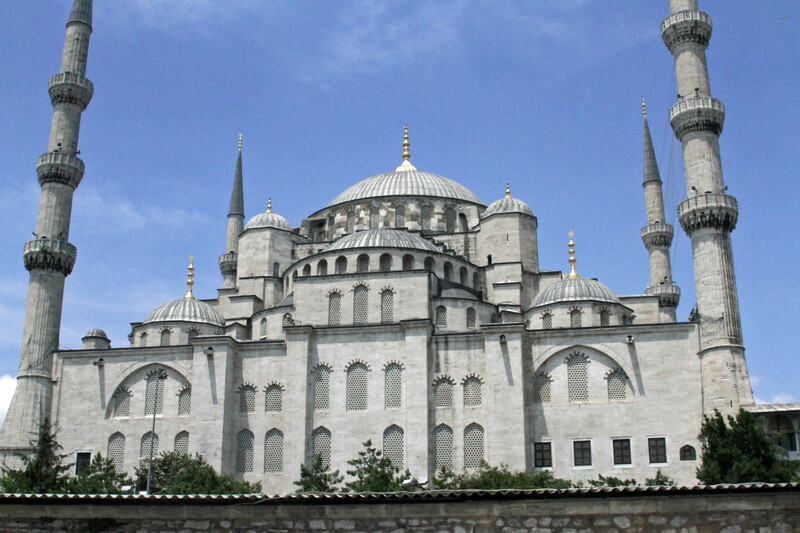 The back side of the blue mosque. 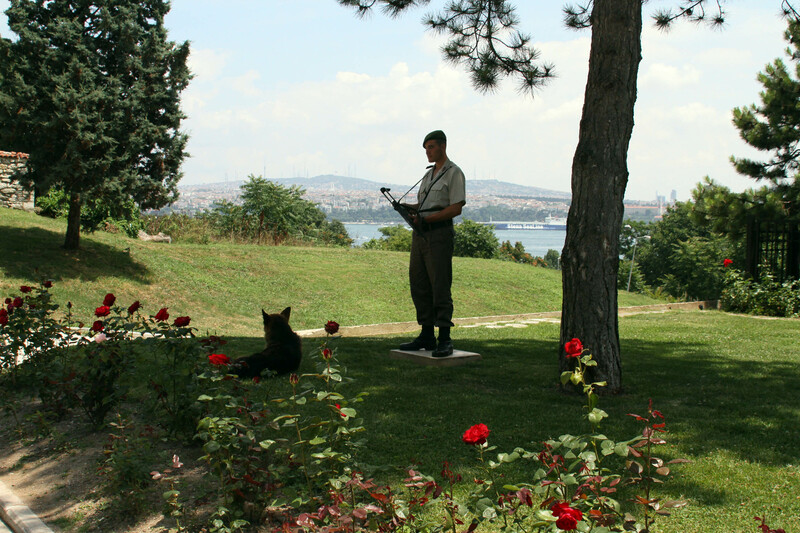 Two guards on duty at the Topkapi Palace. 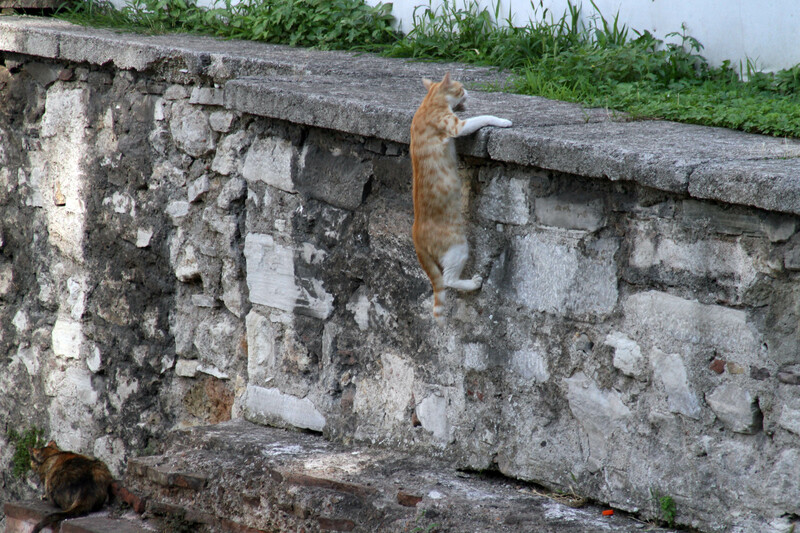 Kitties everywhere, including this one outside Haggia Sophia. Things happen when you leave your house. My family and I love to travel and discover not only the beauty of our natural world but also ancient man-made buildings and structures. We love to learn about other cultures and the people who live around the world—what they eat and drink, what their day-to-day lives are like, their history, and more. Each year we turn the globe and pick a new spot to visit. This year it was a tour through Greece and Turkey. 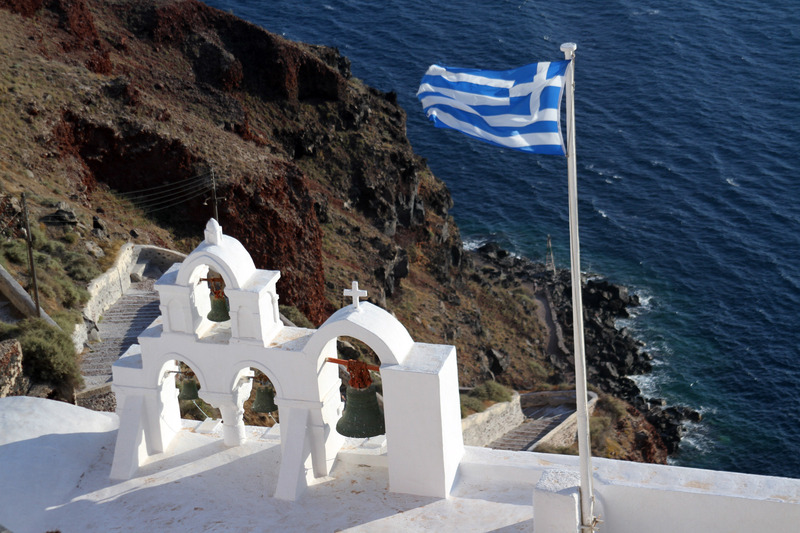 I was excited to mix a bit of ancient cultures with beautiful surroundings and a relaxing cruise on the Mediterranean. 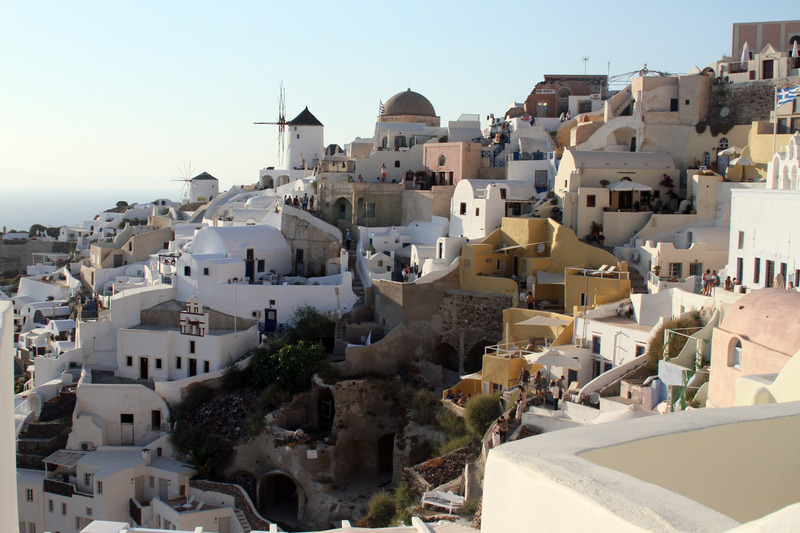 We started our adventure in Athens, Greece for a few days, then went to Istanbul, Ephesus, Patmos, Rhodes, Crete, and Santorini, and a few places in Turkey via an unexpected bus ride. Funny thing is, that was not exactly the itinerary we signed up for. This adventure included lots of rides on planes, buses, boats, ferries, more buses and lots of hikes up big hills. Those ancient people liked to build their societies on the top of the highest hills. As usual with my travel blog series, I’ll cover the stops in subsequent posts, but I’m going to cover the challenges we met with in this first post and get all that fun stuff out of the way. It seems like we have this unique ability to get out of the country we are visiting just in time to avoid danger or trouble. For the past several years just after we have left a country, there have been terrorist attacks, bombings, and religious wars. While we were not seriously hurt, we weren’t as fortunate this time. Here are the highlights of the challenging moments of our trip. Mom gets a lift to our new, intact boat. As we were making our way back to the hotel on day two after a long day of walking around Athens and seeing some of the main sites, my Mom, who has tendencies to fall and seriously hurt herself, did just that. She took a tumble on a step and hurt her ankle. An x-ray back home showed a fracture. We got her some crutches but she spent most of the trip relaxing on the boat or our room, as most of the excursions involved hikes on uneven pavements up high hills. We are happy to report that she’s doing better now. 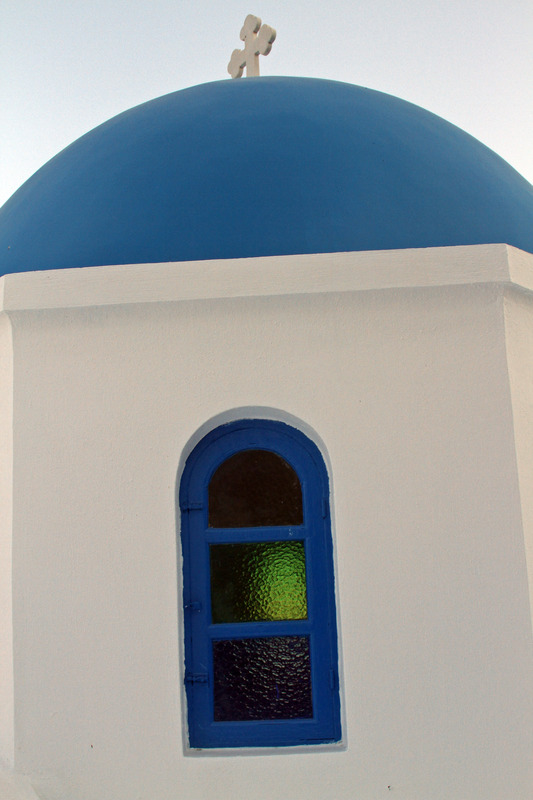 The Greeks lined up daily at ATMs to take out their 60 Euros before the machines dried up. We knew Greece was going to be in some sort of trouble before we left so we grabbed a bunch of cash out the ATMs in advance of the June 30 financial deadline. There were some protests here and there and during our trip we saw the Greek people lining up at ATMs trying to get their 60 Euros for the day before the machines dried up. But other than the news headlines, it didn’t seem to be an issue for us. We thought that was going to be our “thing” that happened on our trip but it was not to be. Collision on the open seas. We were very excited to be on this ship because when we signed up early on, we discovered as a trio we could get one of their two bow-facing suites for a very reasonable price. The Presidential Suite on this boat had a deck out front that was HUGE. I’ll talk more about the cabin and the not-so-great condition of the ship later. As we sailed on up to Turkey on our first night, I woke up around 12:30 am and went out front to check out the view as we were moving through the Dardanelle Straights. I could see land close on both sides but not much else so I went back to bed. An hour later all hell broke loose. I remember waking up to a loud noise and a big impact. I saw the lamp next to my bed swinging and as I tumbled in my bed. My first thought was we ran a ground. Immediately I slid the curtains on the window open and noticed a large ship right in front of us moving across our bow. I started screaming, “Oh my God we hit another ship, oh my God.” (My dad thought there was an earthquake and later I asked him if he heard me yelling about the ship. He said, “No, I was too busy screaming.”) I then went to the door to go out on the deck but had to walk over the mini fridge that had fallen out of the cabinet and strewn its contents across the room. We were one of only a few cabins on the ship with balconies and one of two with a view of the bow. We had the ultimate up close view of a tanker moving off, listing to its port side and spilling liquid over its side. That liquid turned out to be jet fuel that was spewing all around us. Damage to our ship. The starboard railing was also torn off. Our cabin was just above this area and directly below the “empty” bridge. The gas smell was nauseating and made it hard to breathe. At this point I’m thinking, holy crap we are going to have to get to the lifeboats because we hit that tanker and the boat is going to sink. So we got dressed and waited a few minutes before the announcement said the boat was structurally okay. That was a good thing because our meeting point in cases of emergencies was on the bow, right where the railing had been ripped off the ship. The tanker was damaged and emergency crews kept water pouring over it for many hours. The next couple of hours were spent wondering what the heck was coming and listening to announcements such as “please don’t smoke, there is petrol surrounding us!” At around 3 a.m. they announced we would be anchoring the ship and then we listened to the anchor going up and down a few times. We didn’t sleep much and spent the entirety of the next day waiting for news. We finally were able to ferry off the ship around 8 pm. Then the fun began. Sixteen buses of people and baggage were disembarking, so we had to find our suitcases, walk a mile (with my mom on crutches) to the bus and off we went. The funny Australian couple in front of us made me laugh when making reference to all the refugees coming across the Mediterranean this last year. The husband remarked that the Turkish people in the sleepy town we were moving through were staring at us because we were now in fact, “the boat people.” I’ve never been a refugee coming off a boat into a foreign land and it seemed strange. It put things in perspective for sure—how fortunate our lives really are compared to real refugees. But I digress. An hour or so on the bus and a ferry ride took us to the immigration center. A couple of hours in lines there getting visas and passport stamps was fun. We then were back on the bus for another ferry and trip back to Gallipoli—where we got off the ship—before spending another six or so hours driving to Istanbul where we arrived around 7 am to stand in another line to check in at the wonderful and comfortable Hilton. I’ll talk more about accommodations and Turkey later, but two nights sans sleep and a major collision on the water was enough excitement for me. We saw photos of the ship’s wreckage on Facebook from friends who Googled it. It was bad. Later we learned more and heard radio transmissions that basically told me someone was asleep at the wheel or not there all together. It was a miracle we did not explode or that anyone was seriously hurt. Thank you God! There were a lot of boats including this large coast guard vessel checking out the damage. I have had moments of wanting to sue the cruise line. I’m not litigious by nature but this was not a normal accident—it was a serious case of negligence. Thousands of people could have died if the ships had exploded. For now, I’m waiting. The crew members were great. Those poor folks went with less sleep than we did and they handled themselves with patience and grace. The cruise line promised to refund our cruise, comped us some hotel nights and a couple excursions as well as a shortened cruise on another of their ships. They also promised to comp us a cruise next year. I’m a bit nervous about that so we’ll see. Well, things happen when you leave your house. You either accept it and roll with the punches or stay home and miss out on the glorious world we live in. Remember, you don’t have to go across the world to travel and discover something wonderful. Lots of kids hung around the tourists trying to earn money playing music. 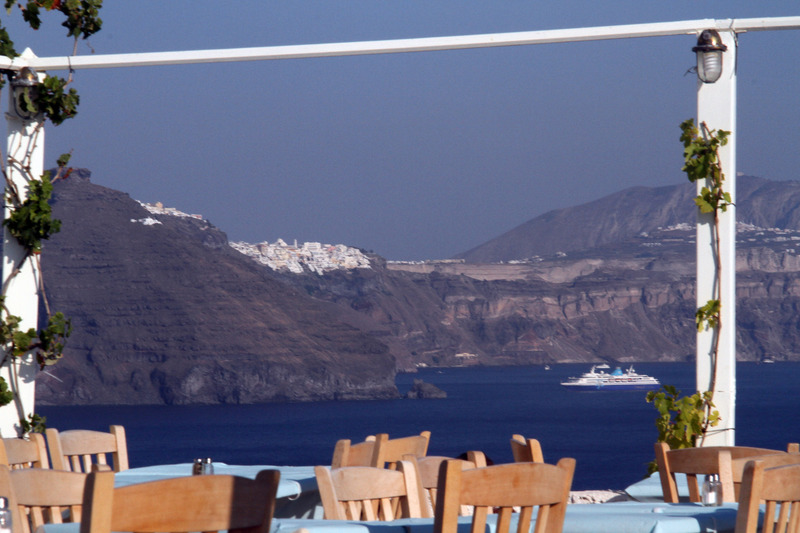 We had some great food in Greece–gyros were on today’s menu. 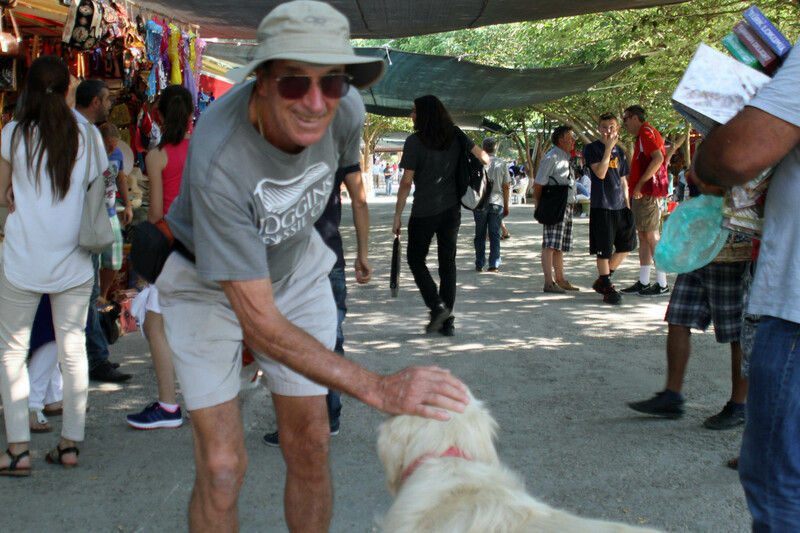 Lots of dogs hung out in the tourist area. 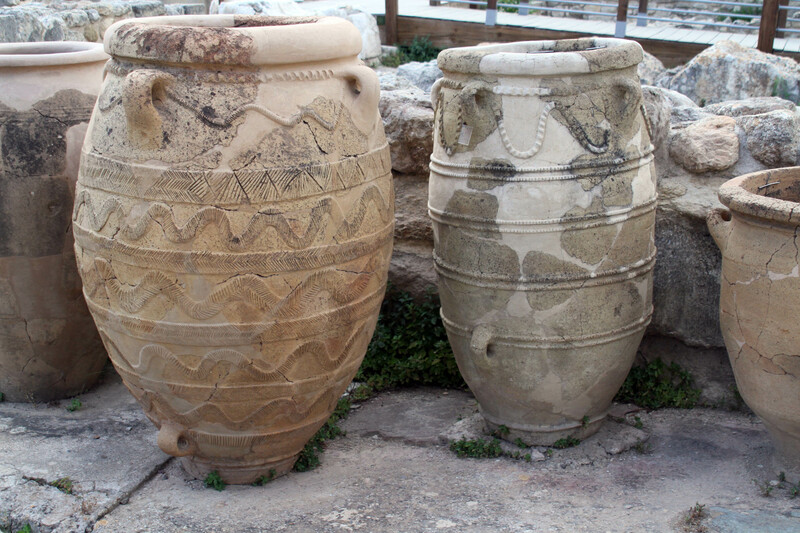 The Greeks put collars and tags on them and put water dishes out. The dogs are left to get their own food and love getting hugs from visitors. 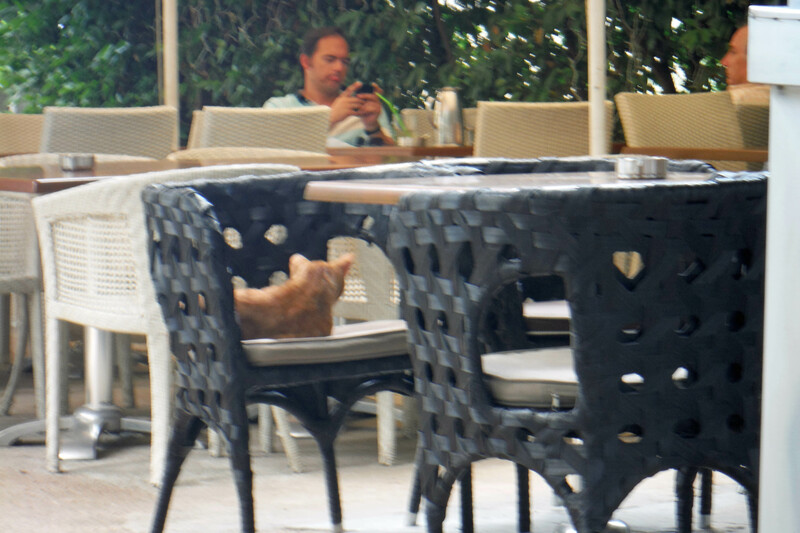 There were a lot of cats just hanging out on ancient ruins, and in this case on a chair in this outdoor cafe. All the cats I approached were very sweet and loved getting pet. The financial crisis was in all the headlines. 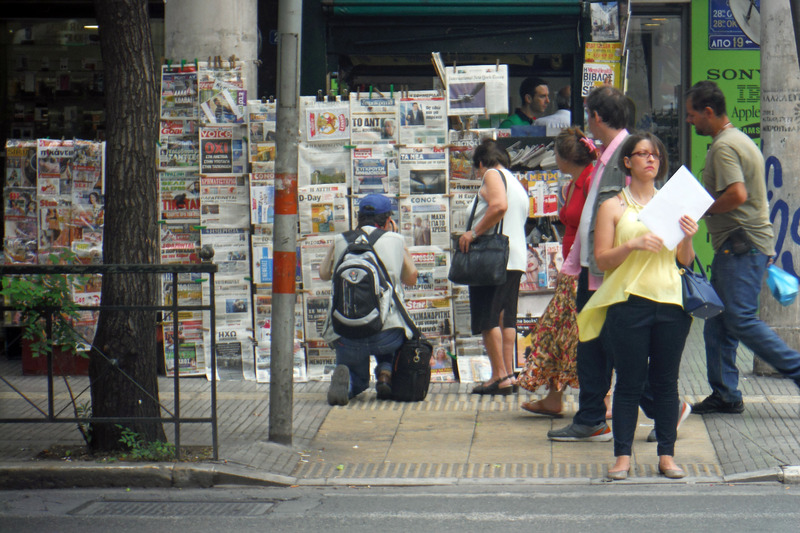 People were hanging around the newsstands reading the latest news. Our deck looking off the bow. Our deck was huge and included a whirlpool. We didn’t get a chance to use it though.